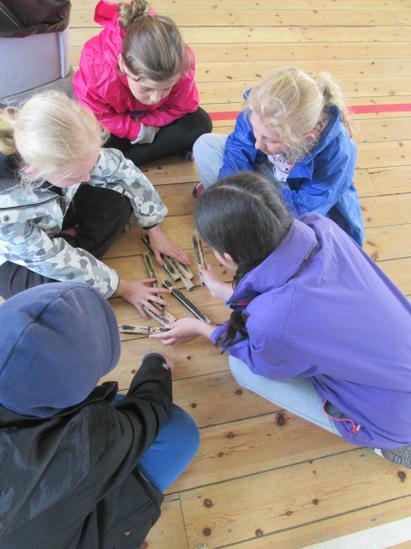 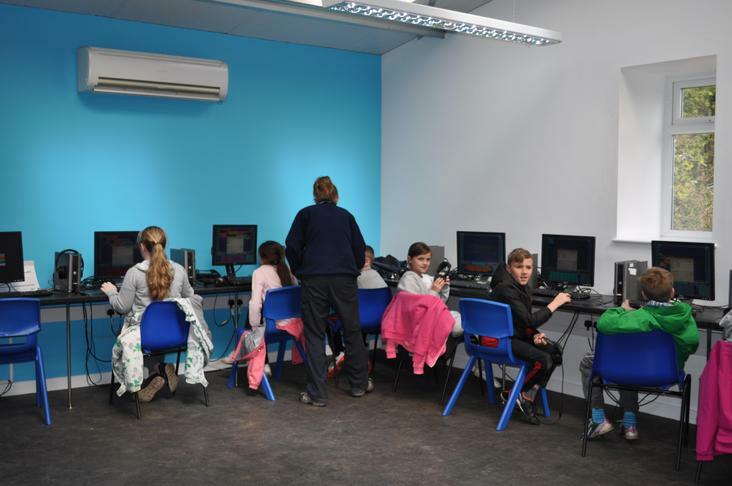 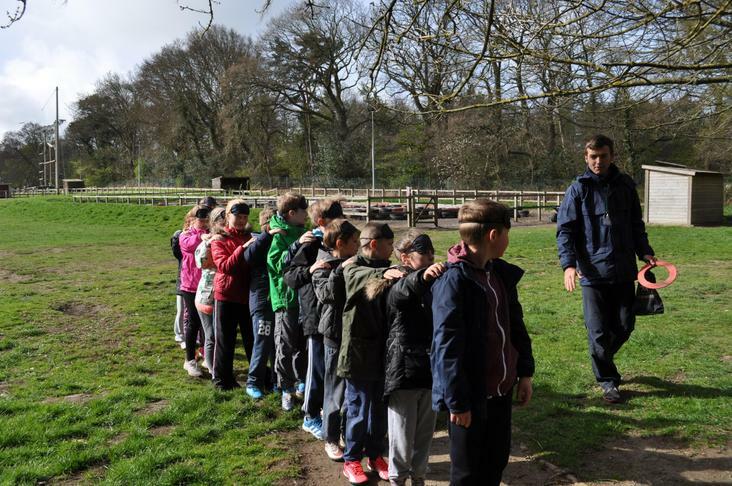 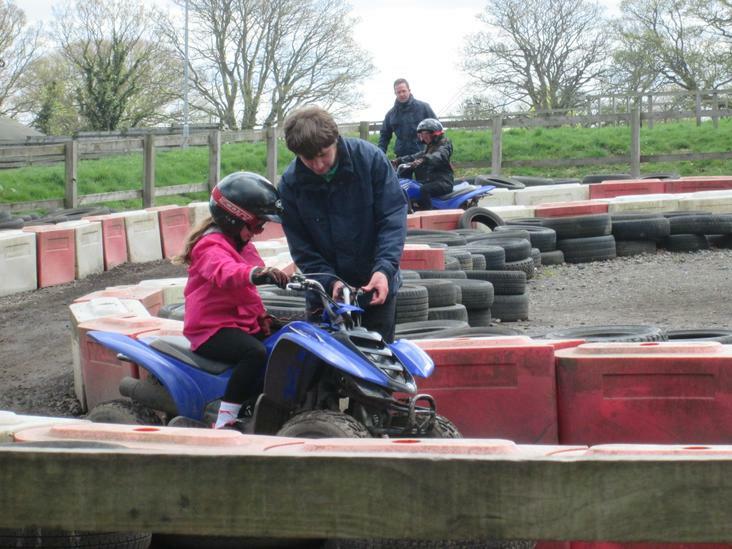 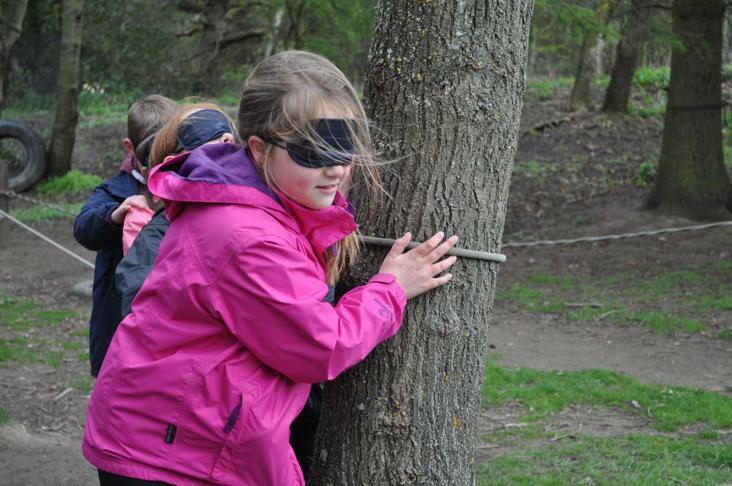 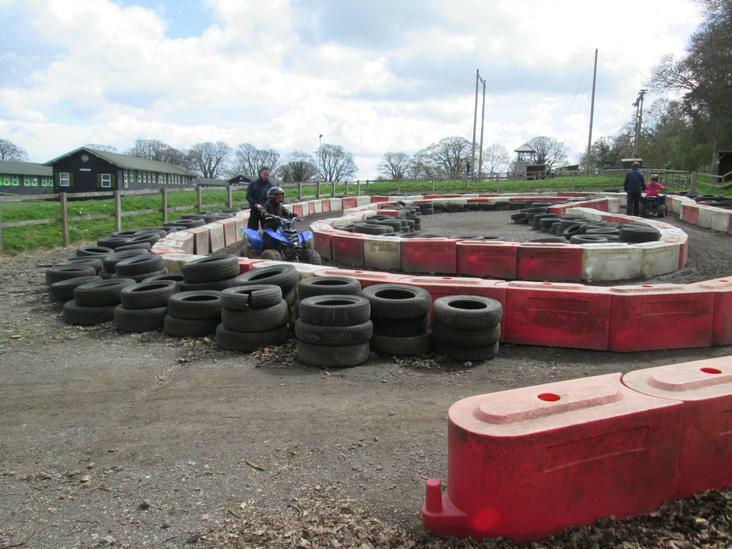 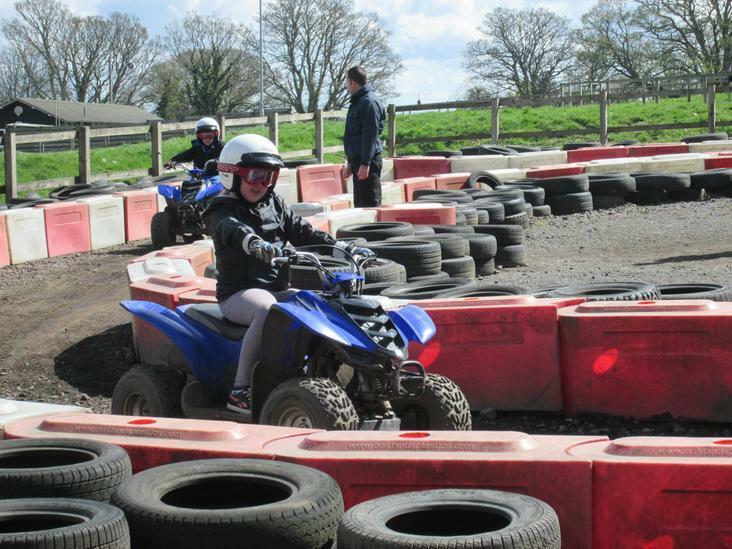 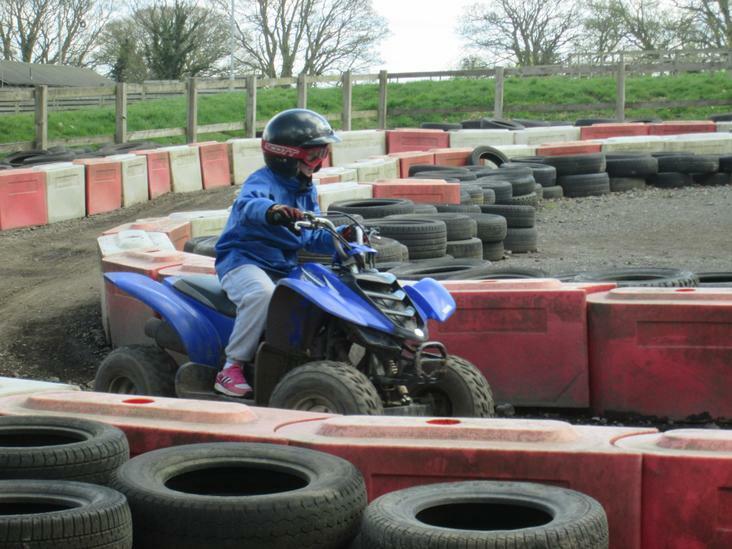 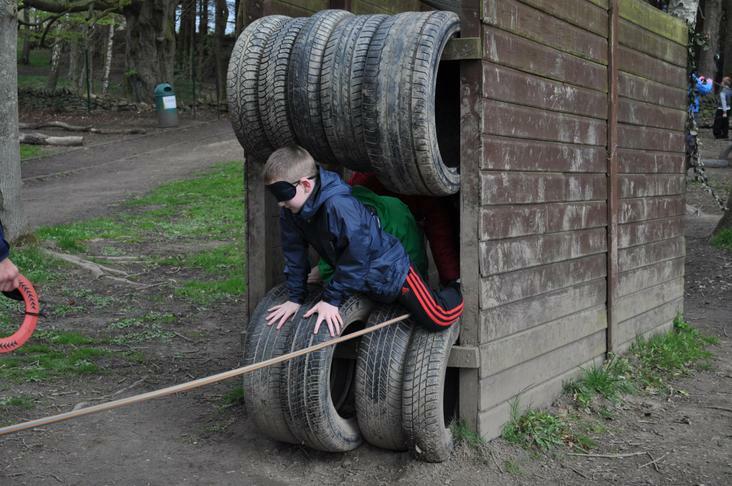 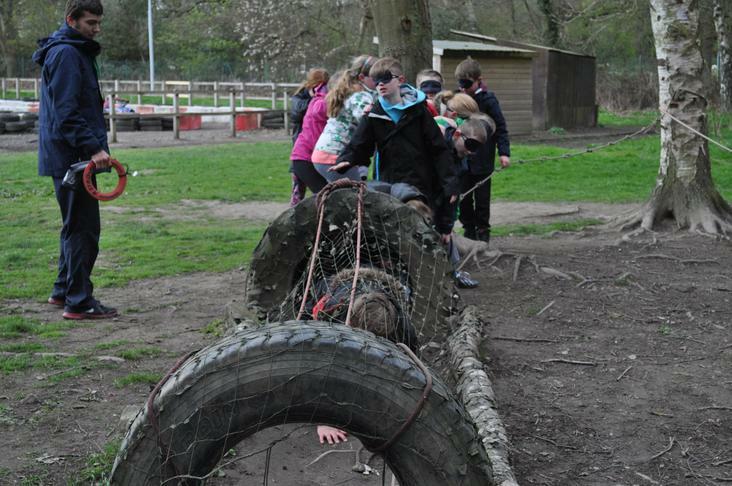 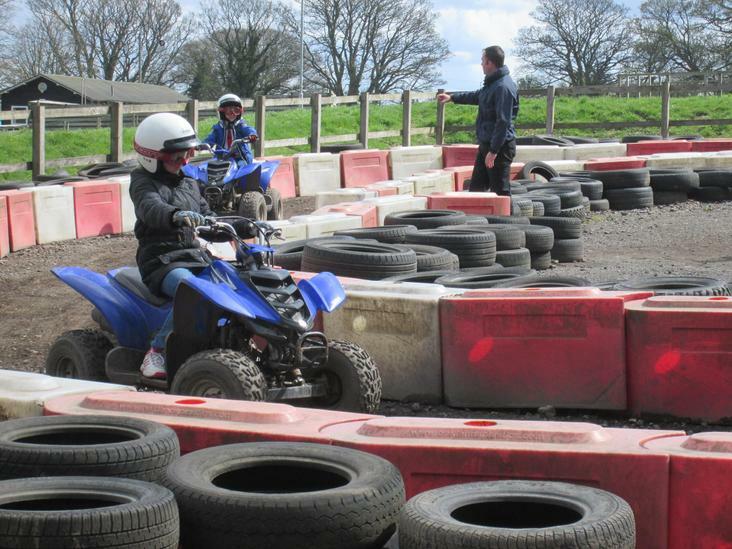 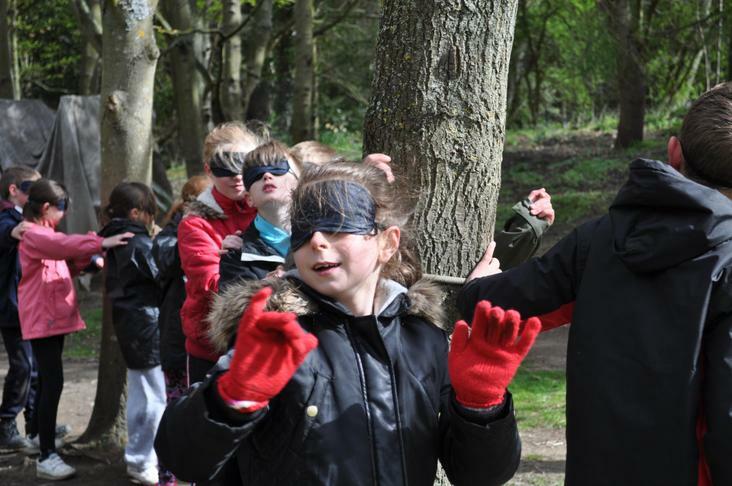 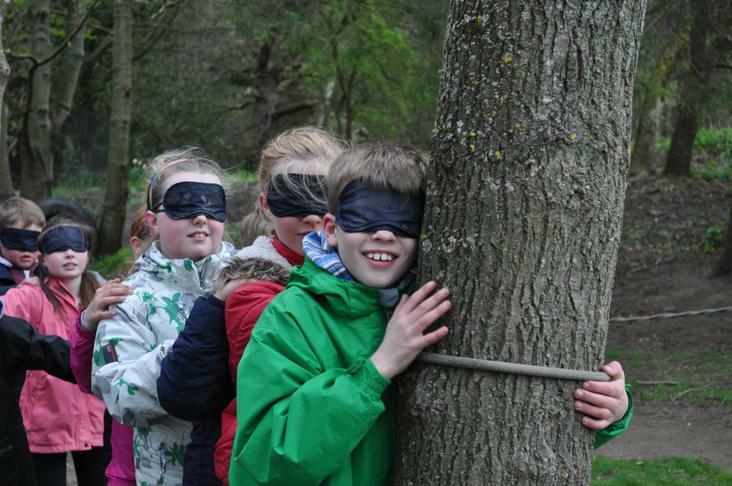 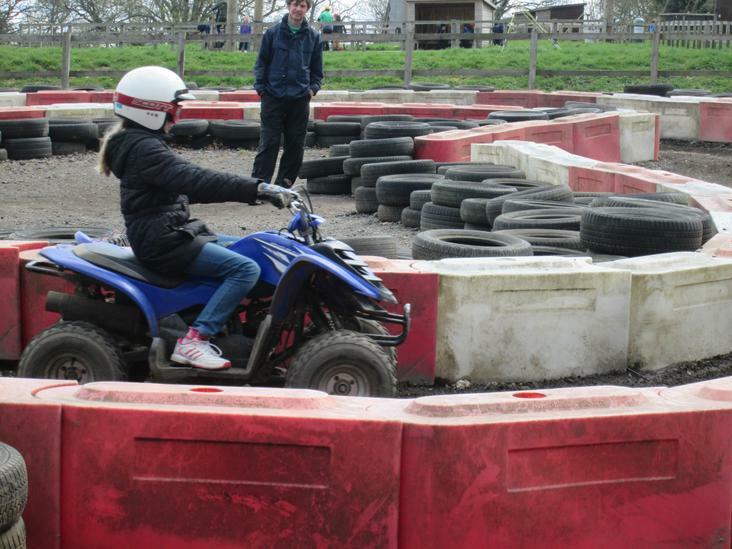 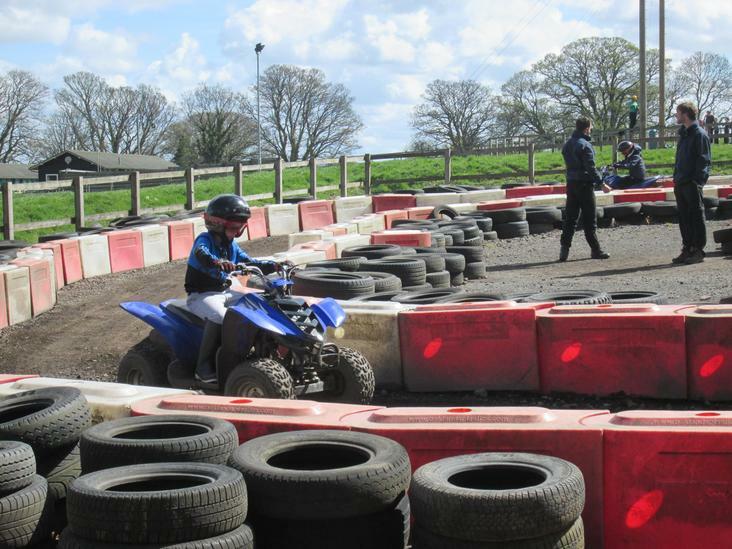 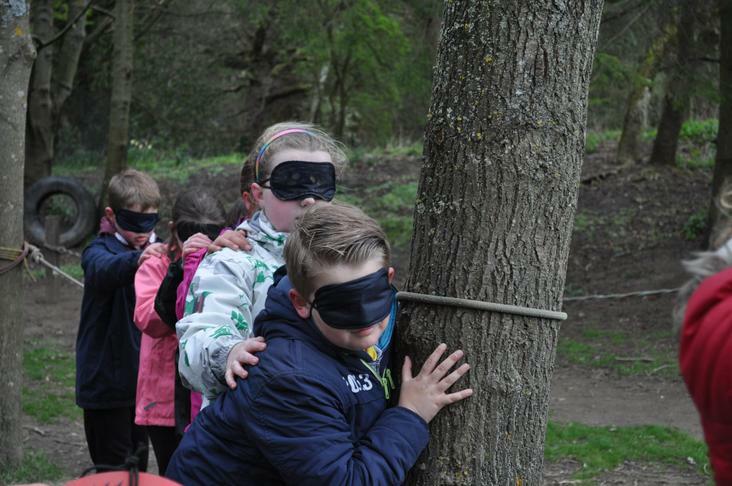 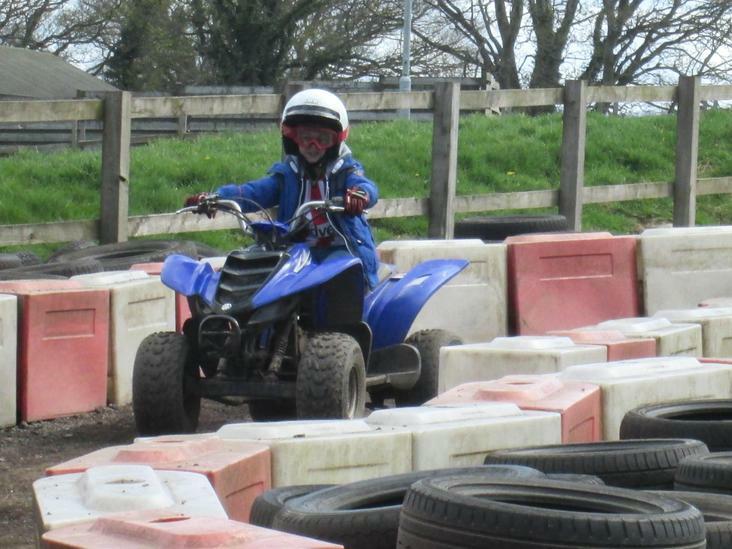 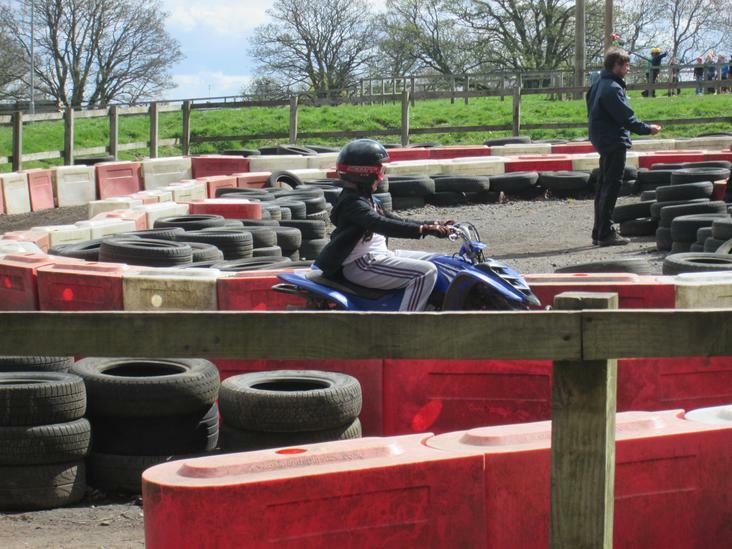 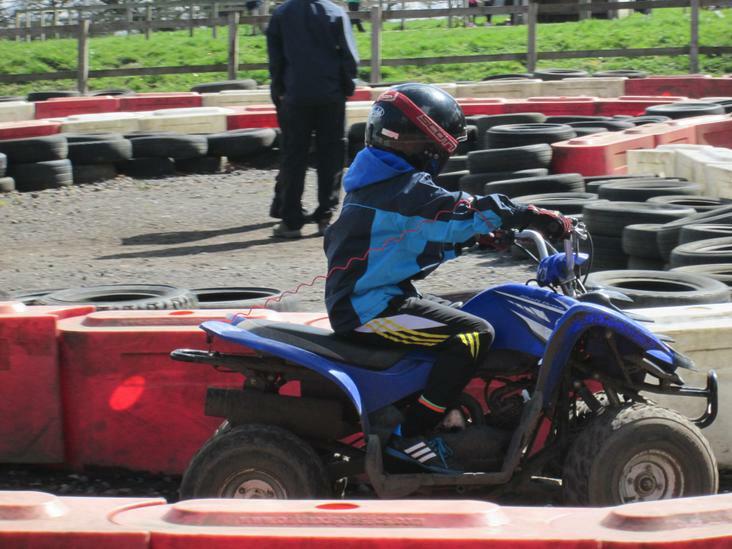 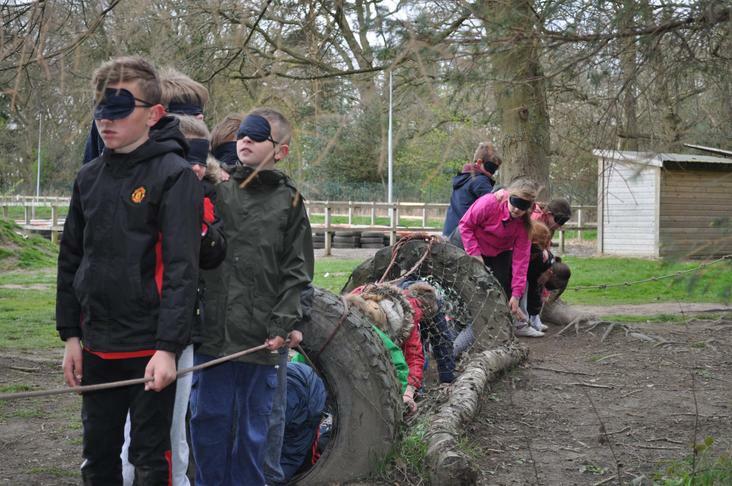 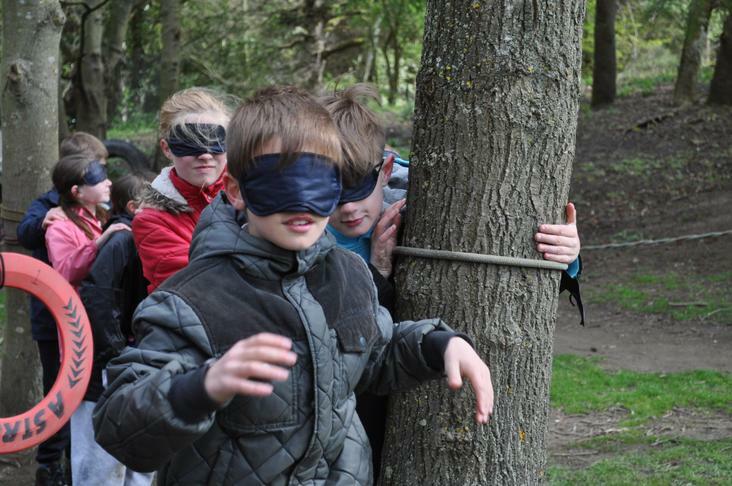 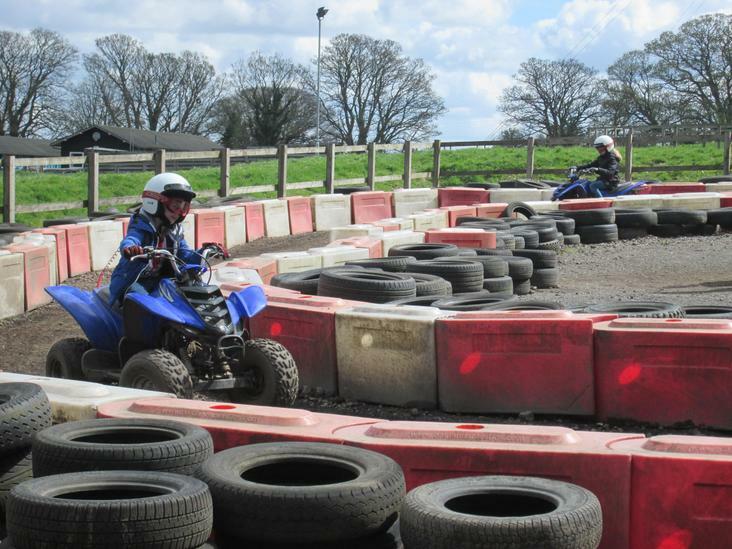 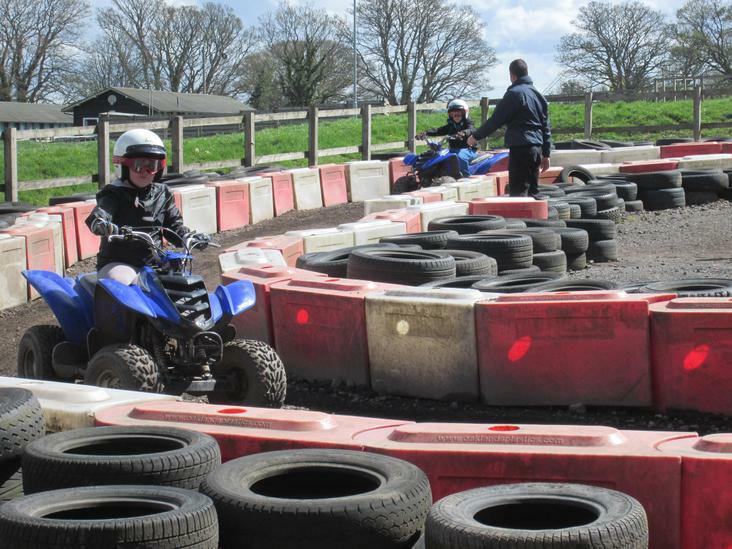 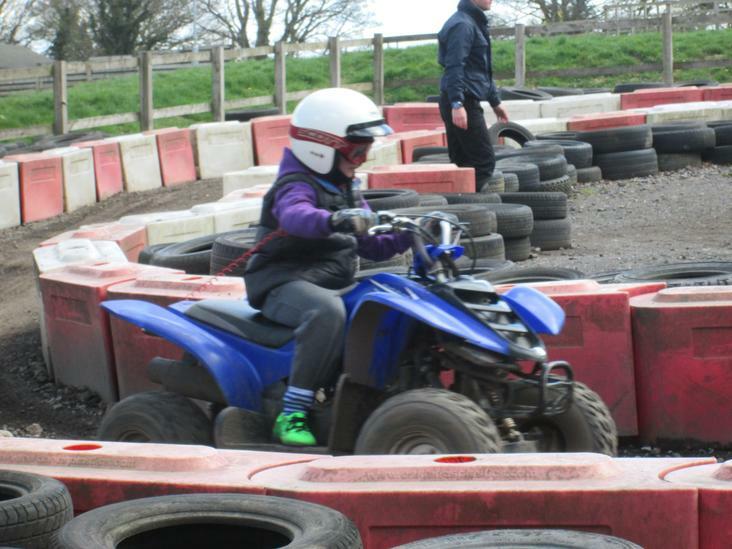 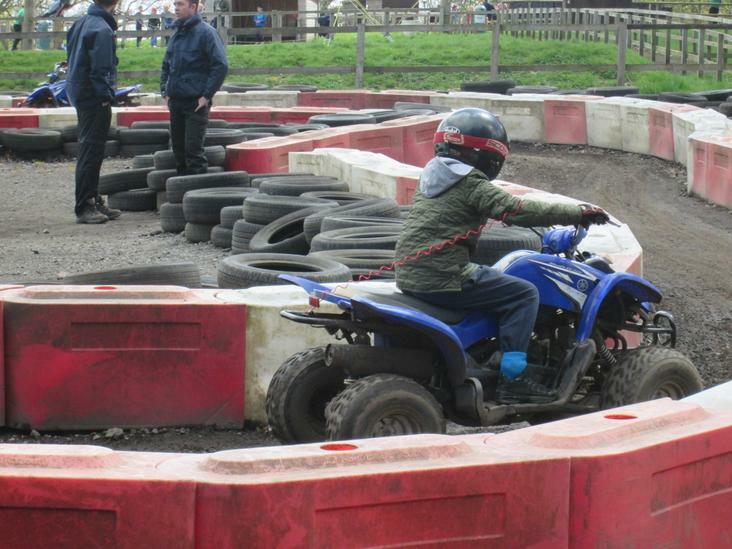 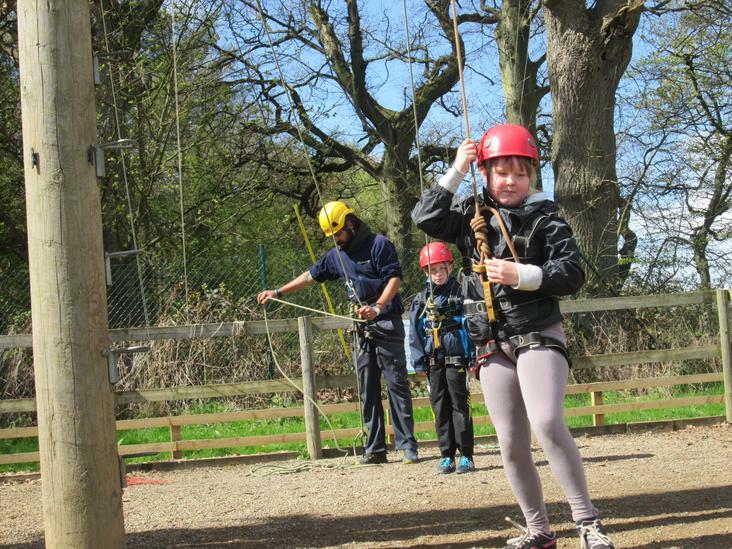 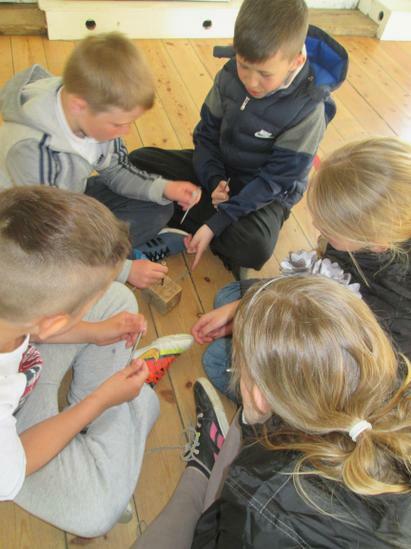 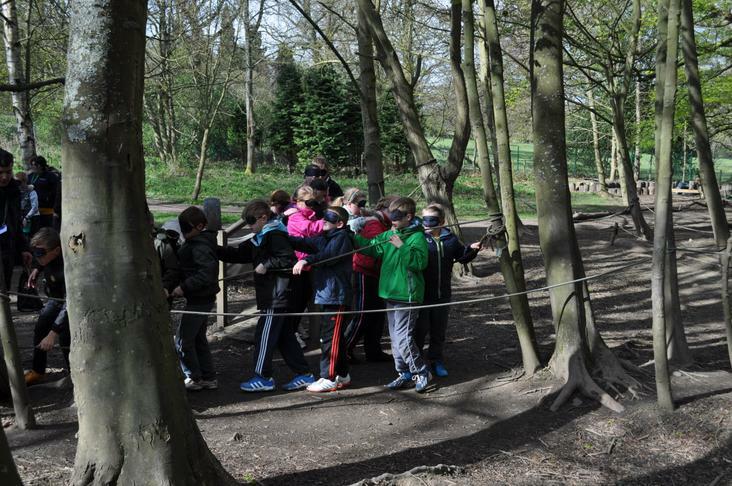 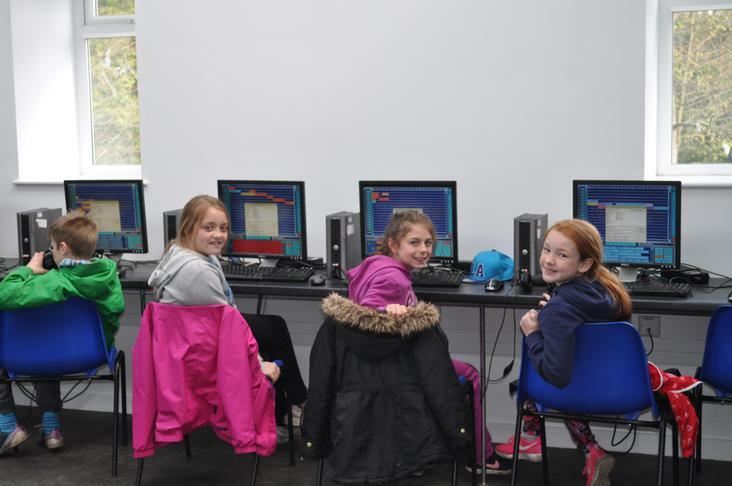 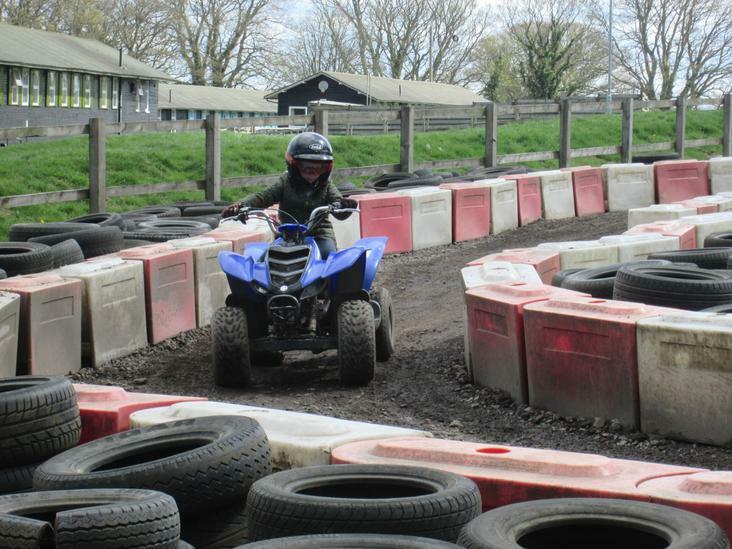 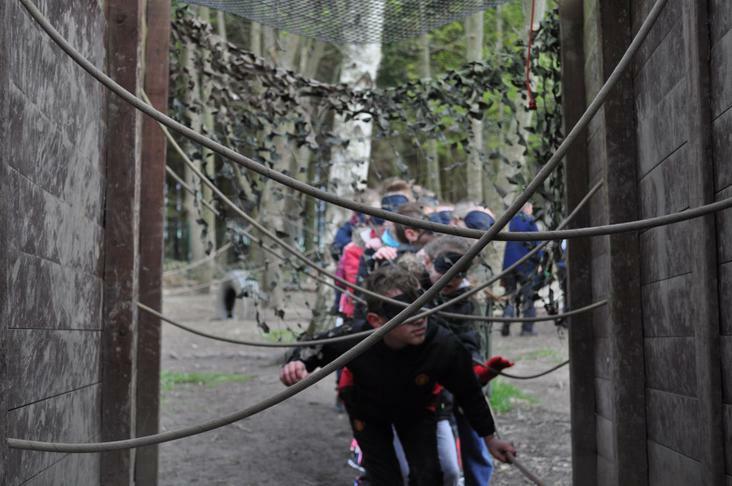 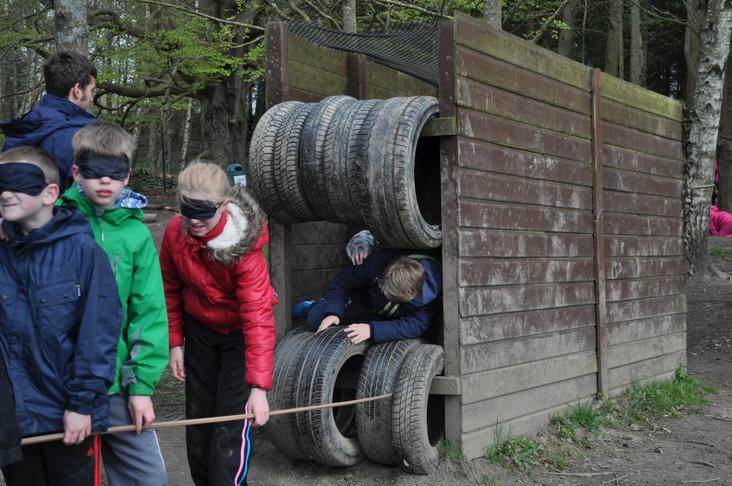 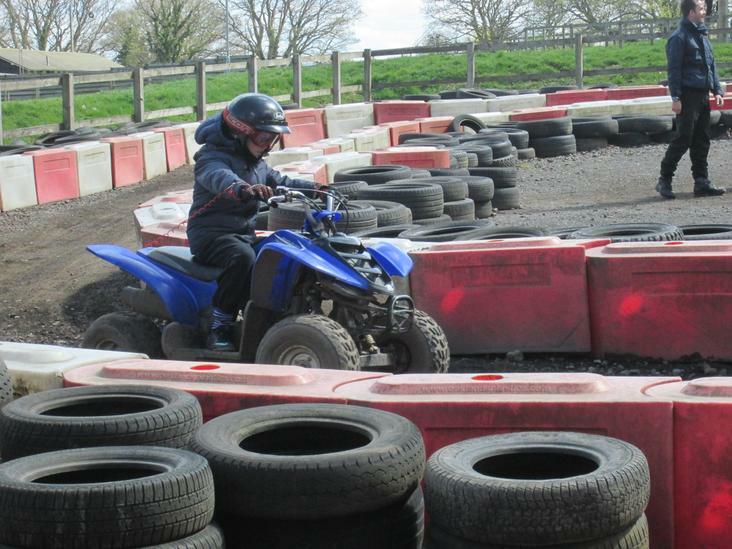 In this activity children are blindfolded and have to work together as a team in order to navigate a series of obstacles. 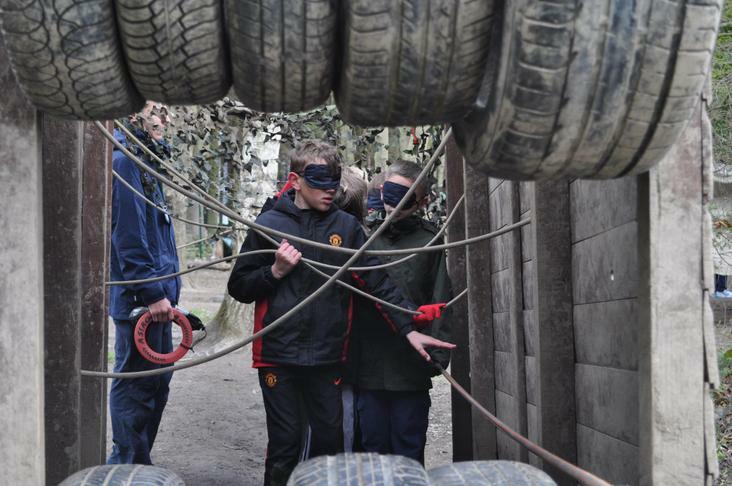 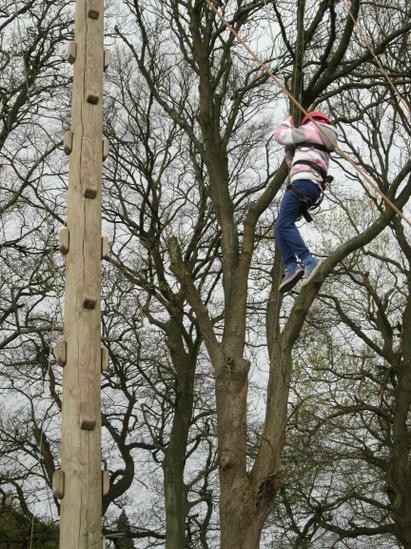 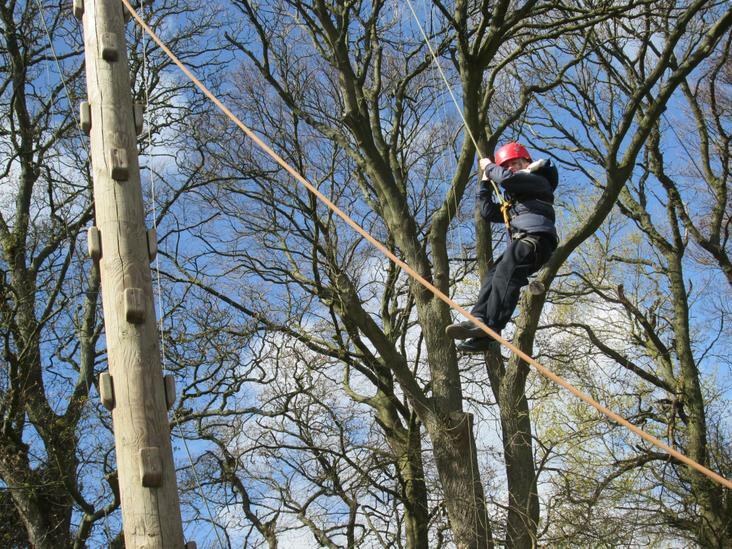 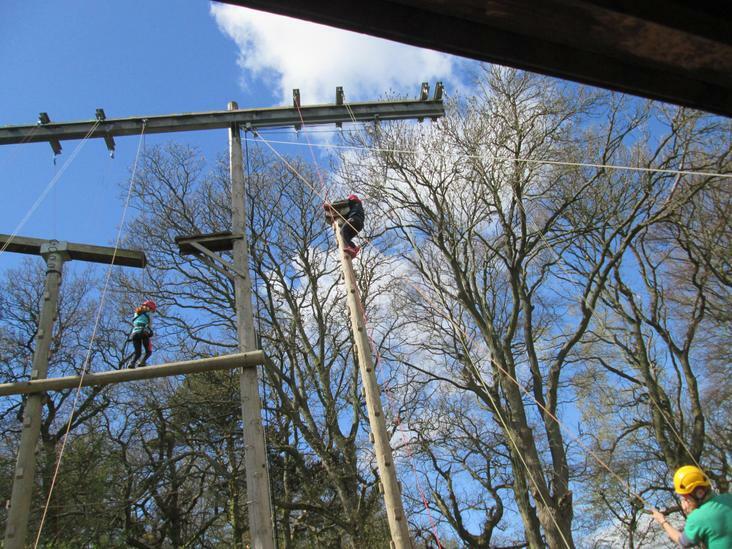 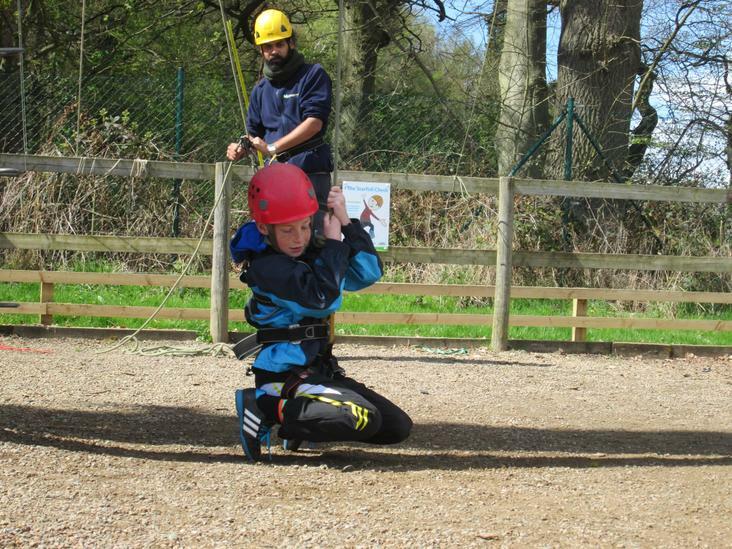 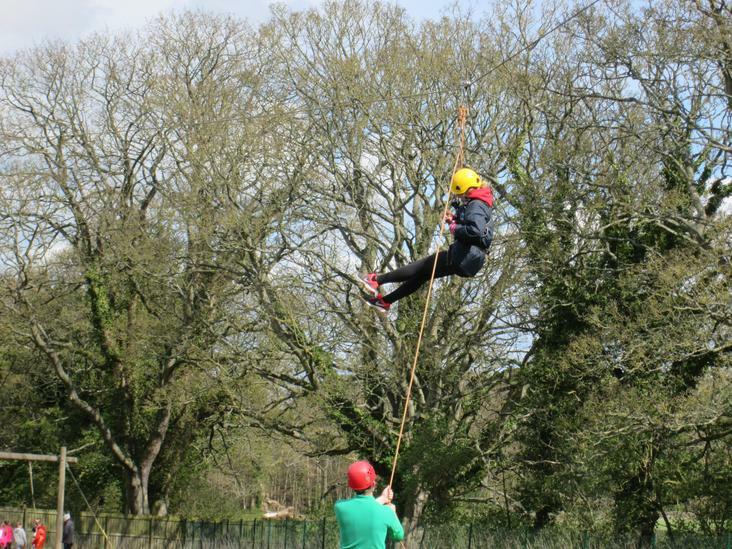 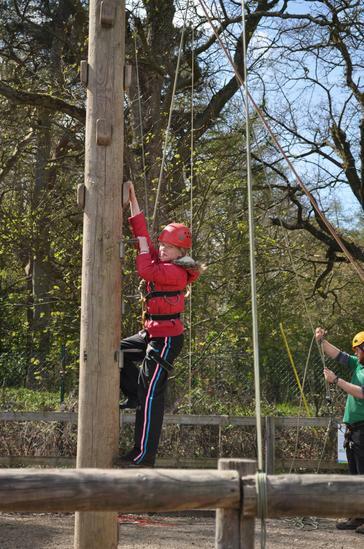 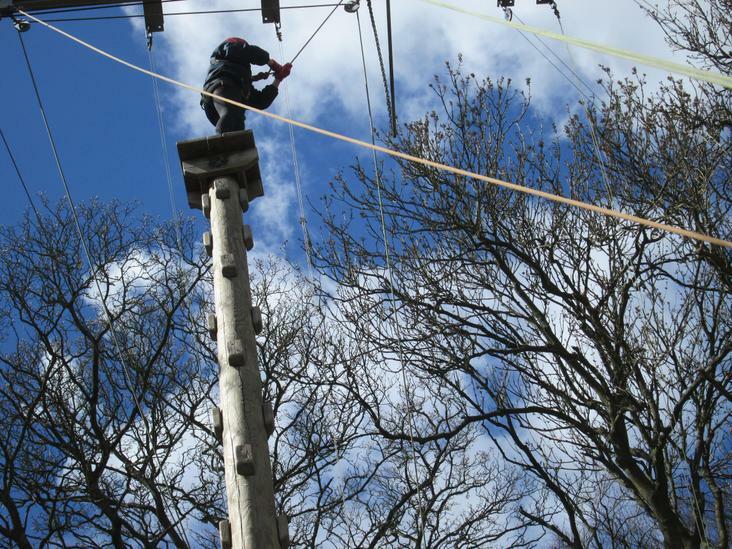 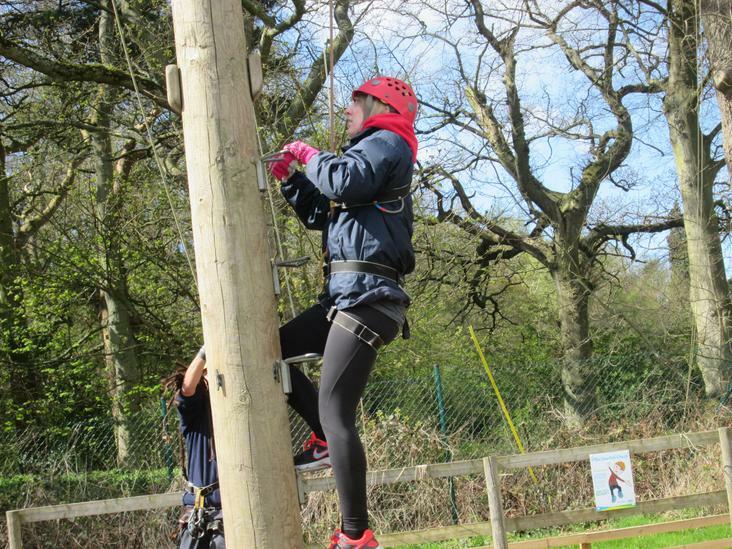 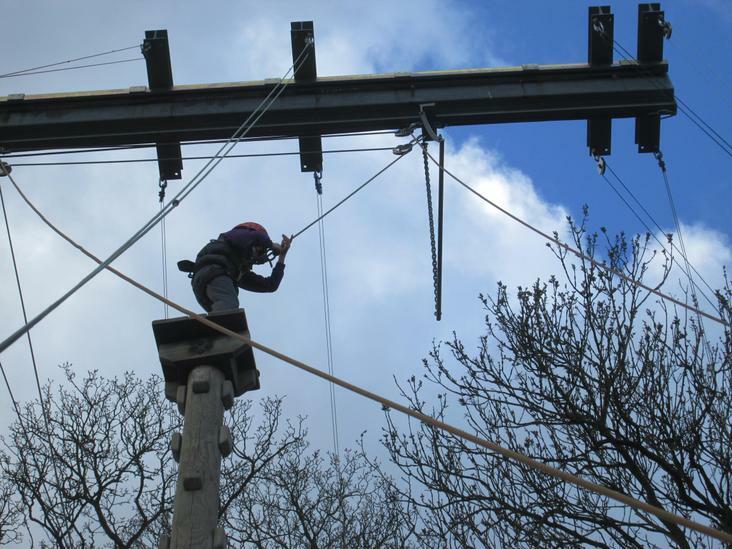 The key to completing this challenge is to follow the guide ropes and give each other clear descriptions and instructions on how to overcome each obstacle they face. 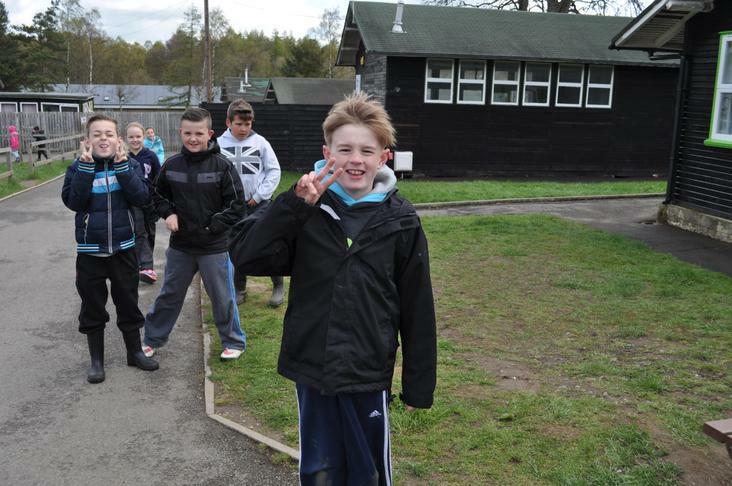 Time for a quick break! 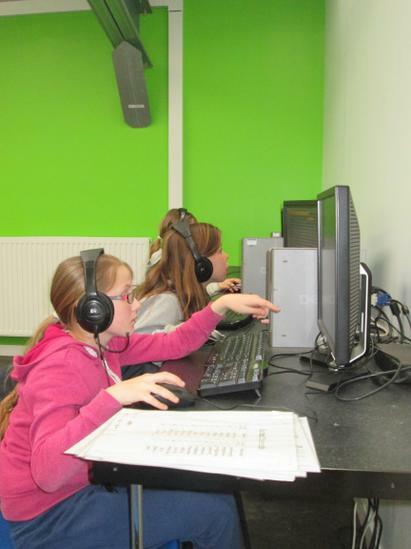 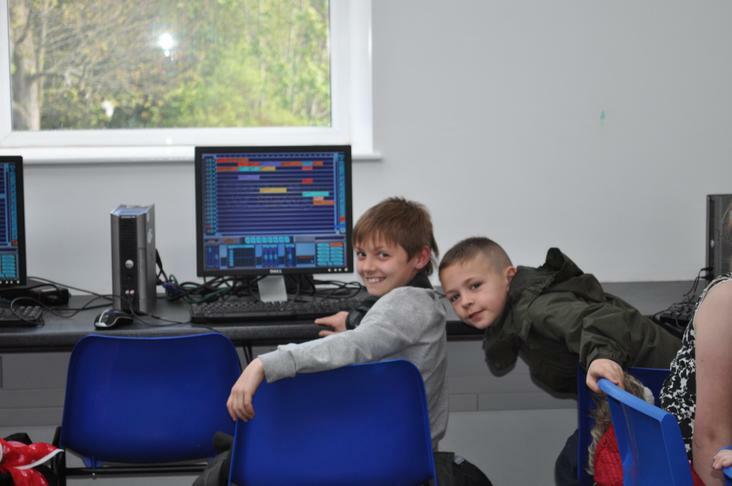 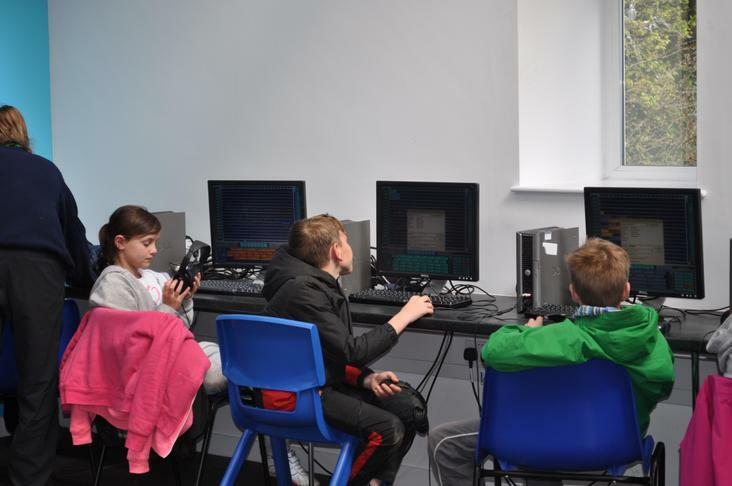 Using Dance eJay children were able to create their own dance tunes. 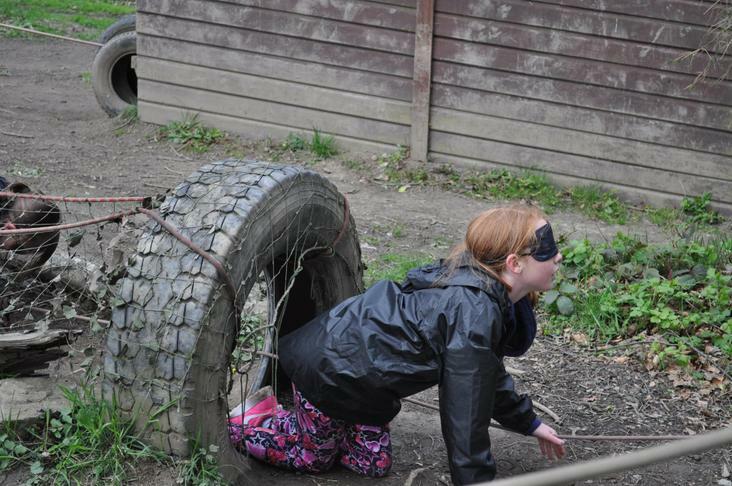 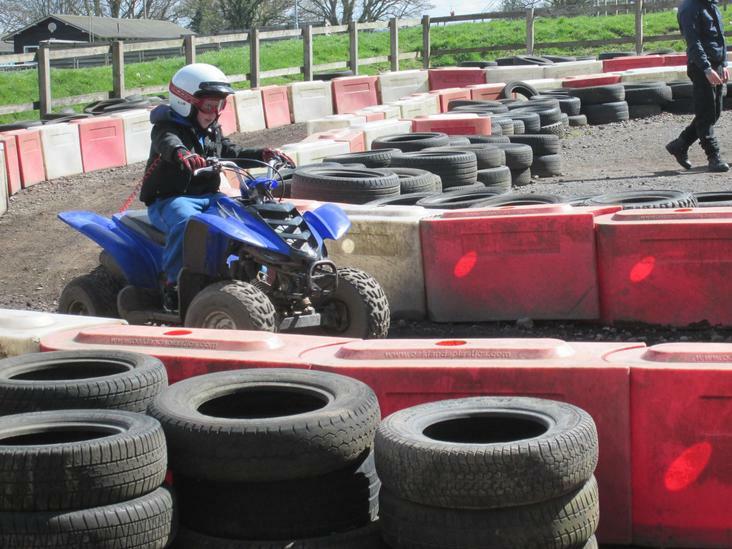 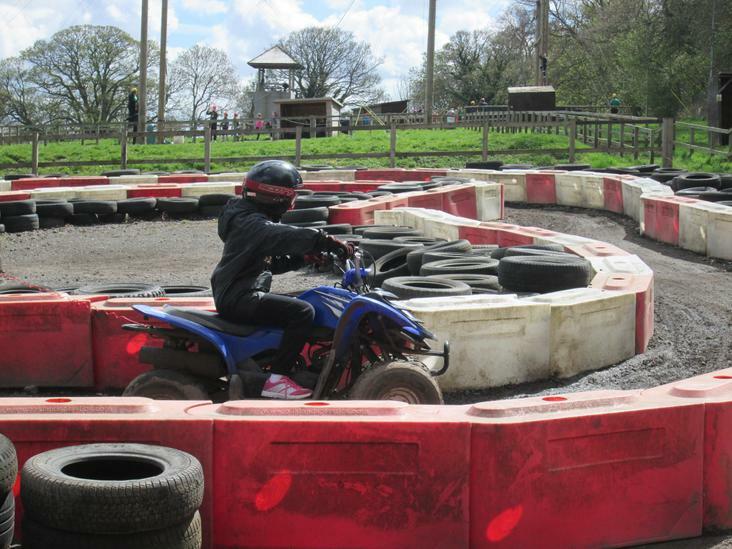 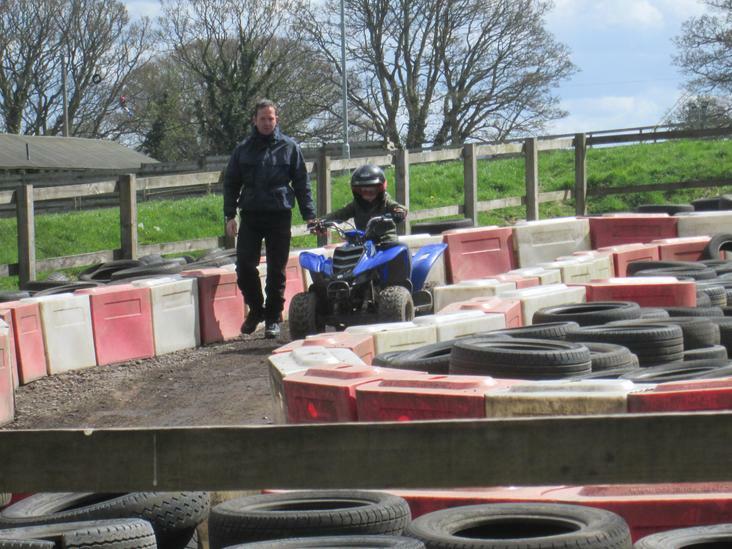 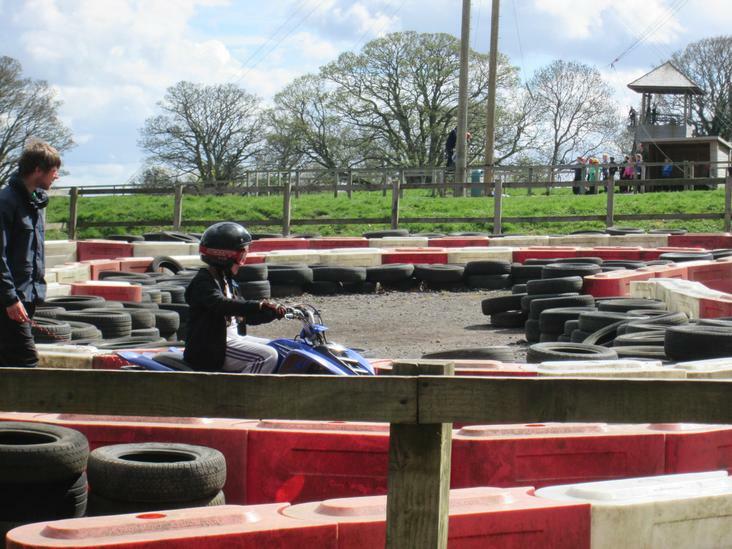 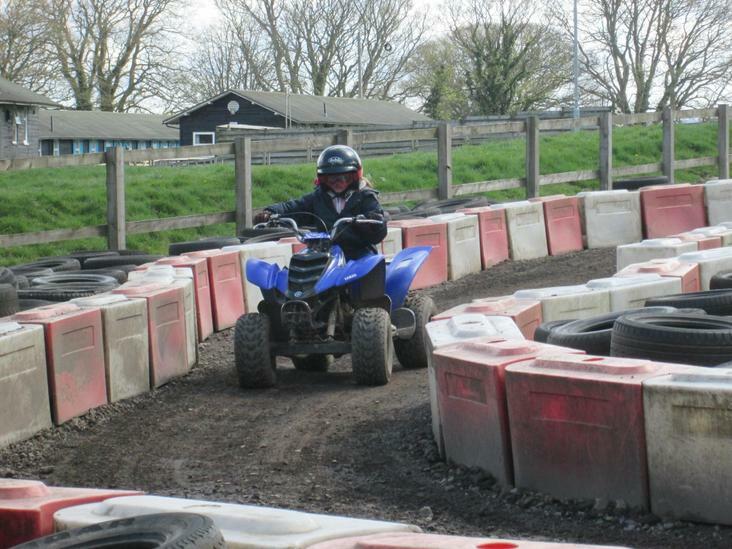 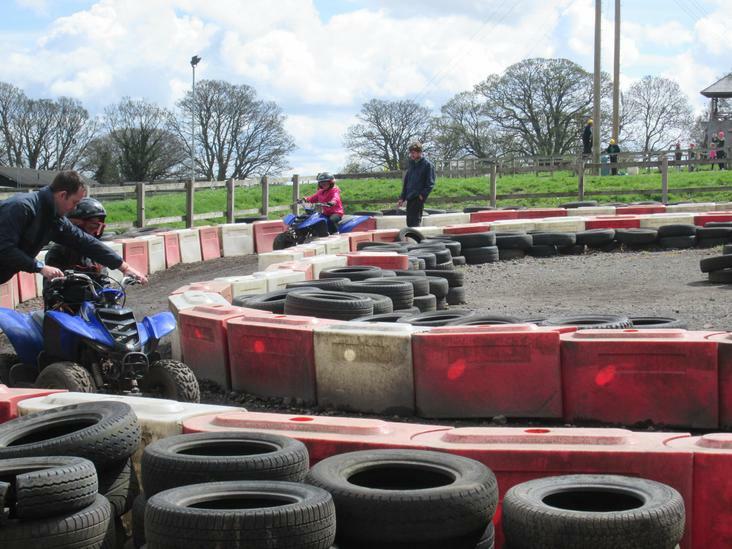 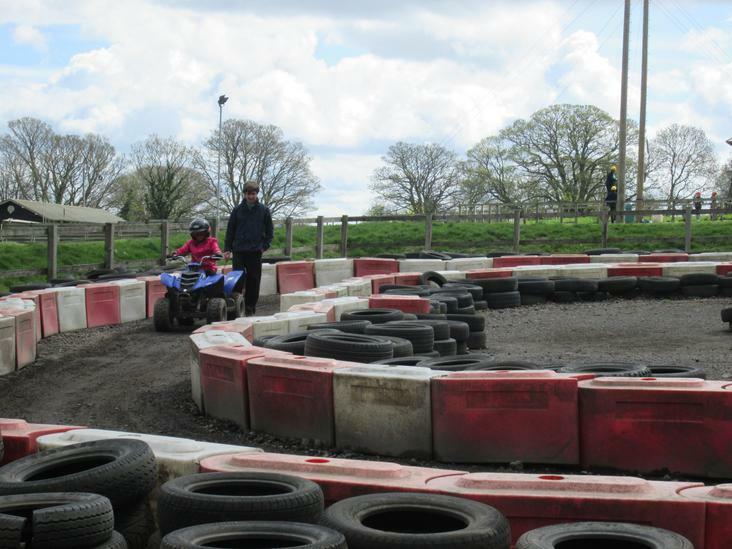 This challenge is not for the faint hearted! 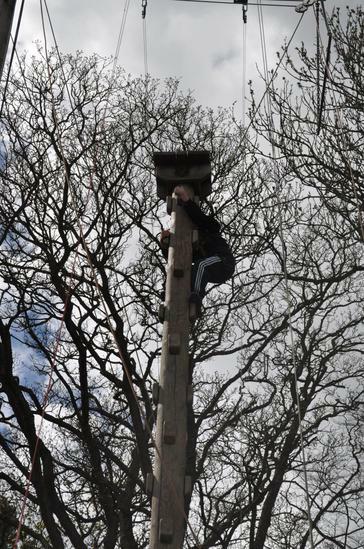 First of all they have to climb to the top of a 10 metre pole and then drag themselves up onto the small platform and stand up. 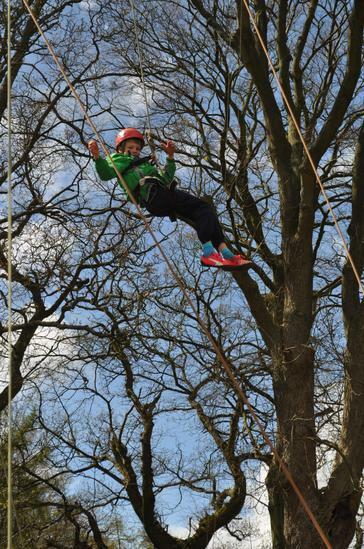 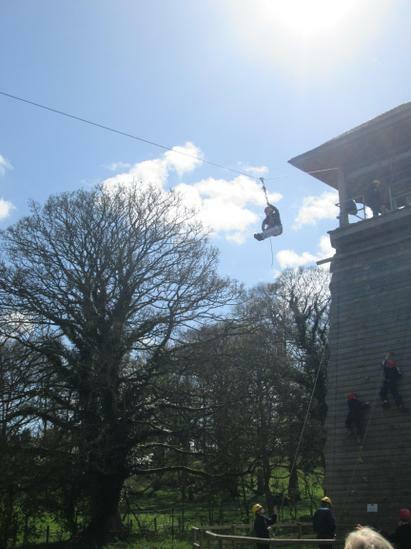 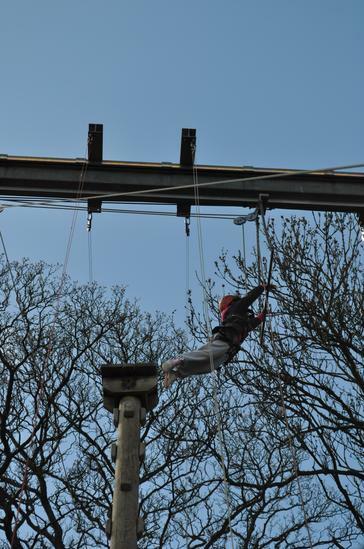 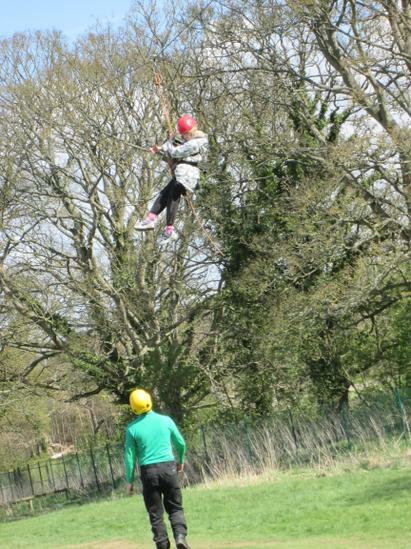 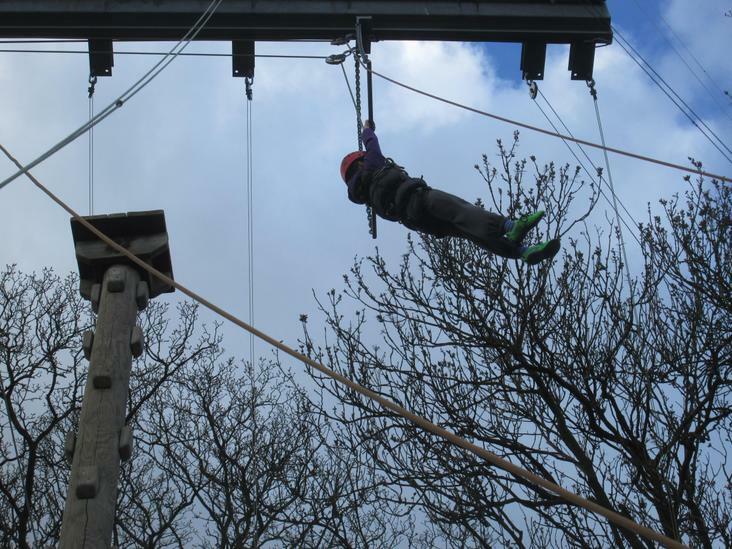 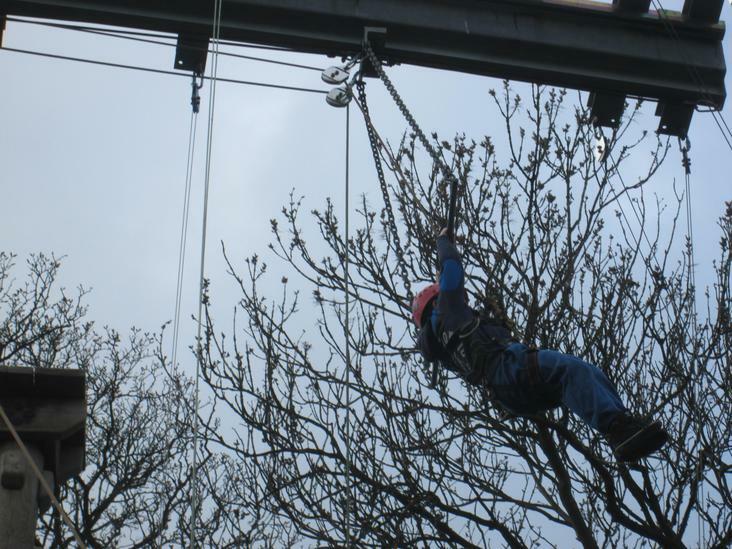 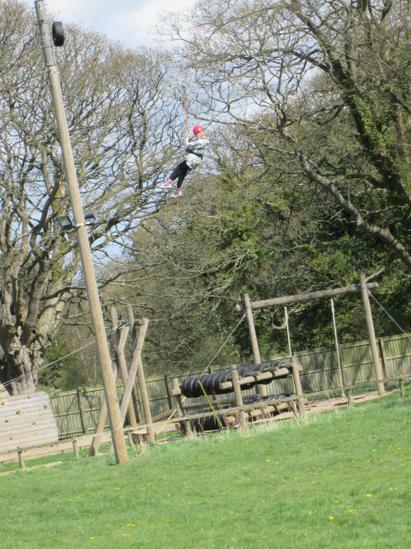 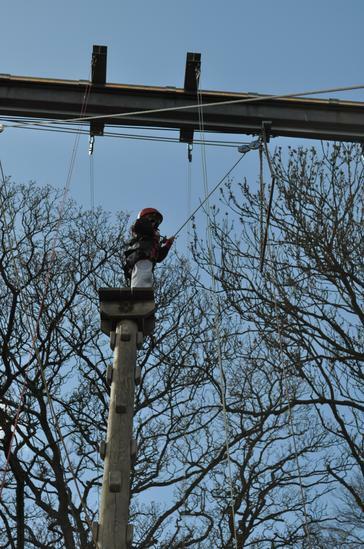 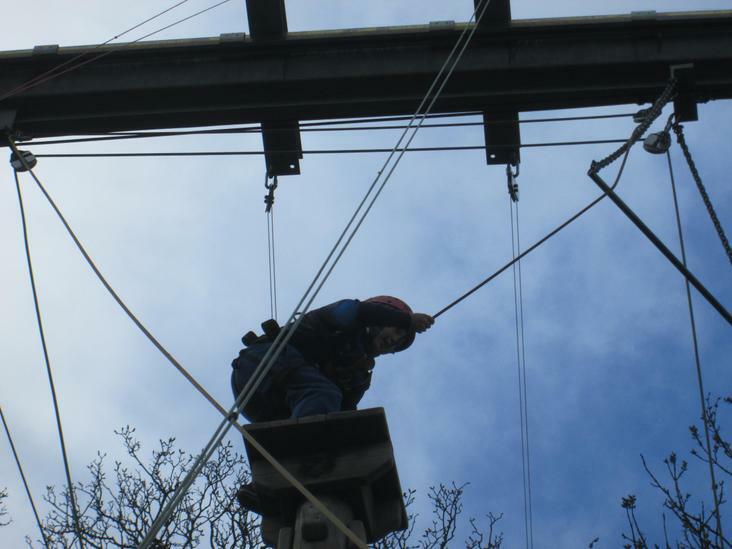 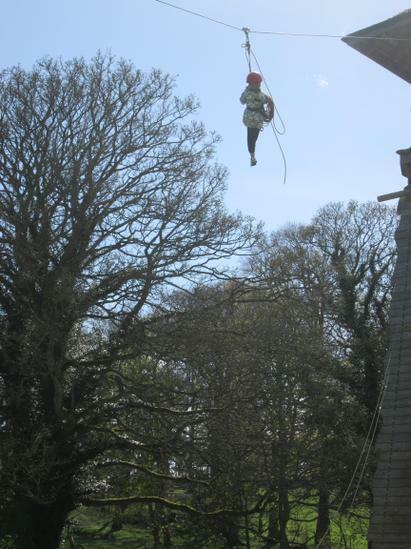 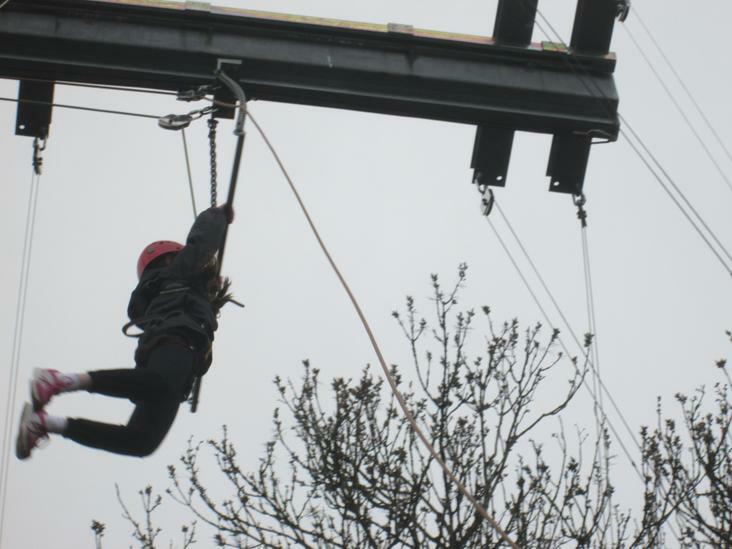 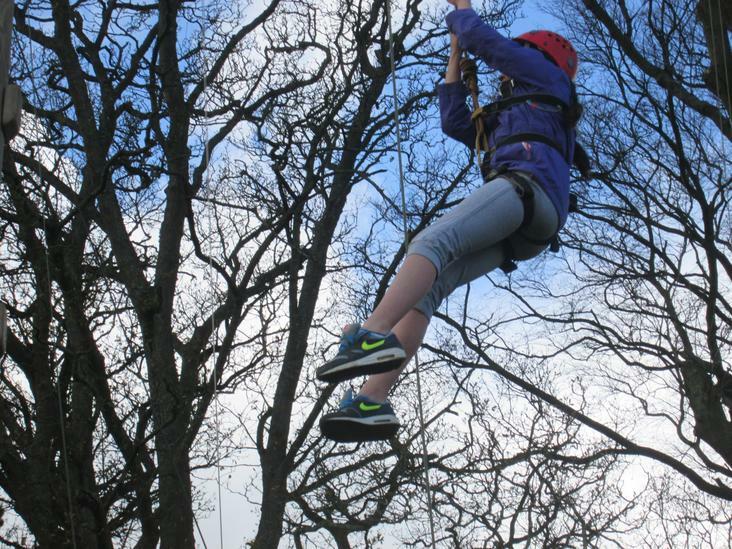 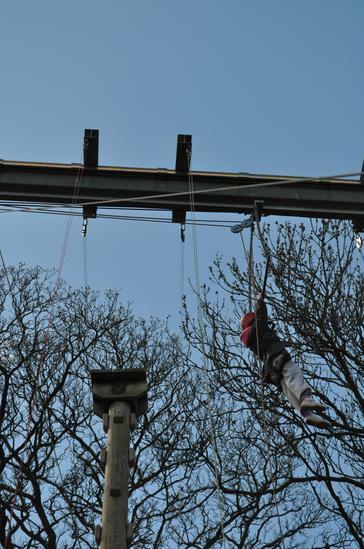 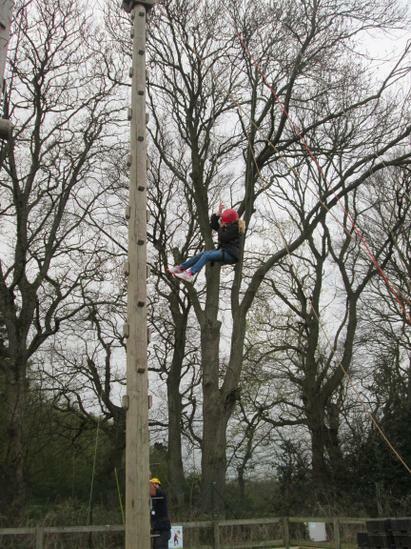 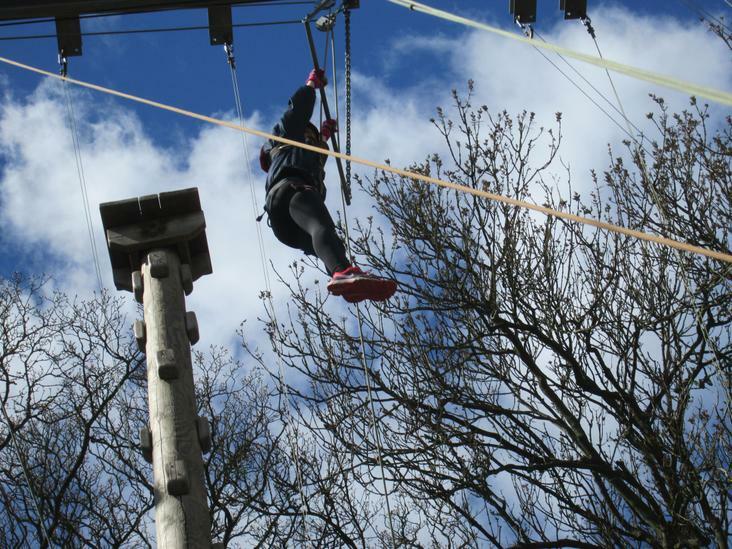 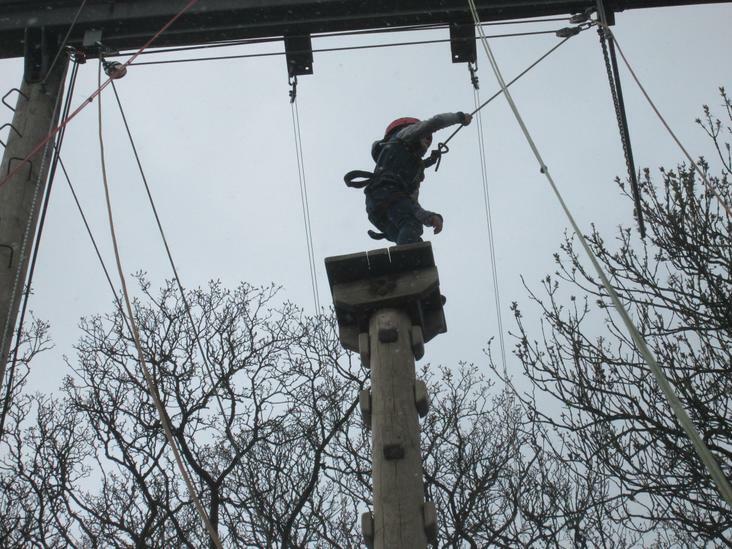 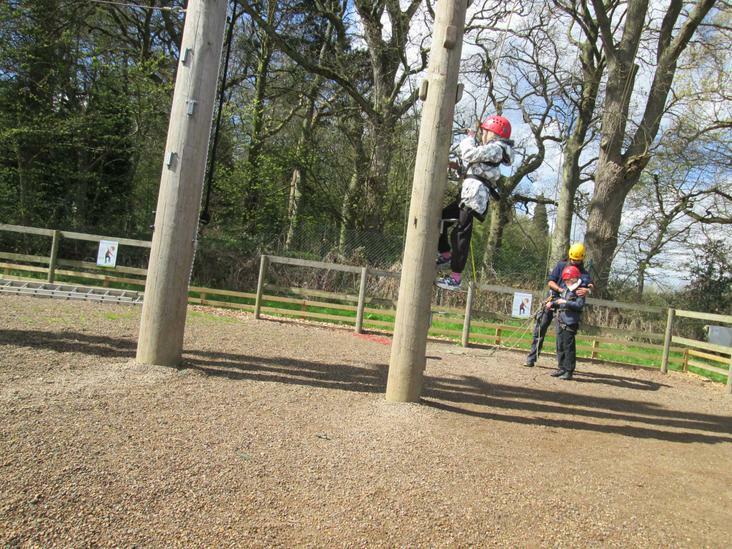 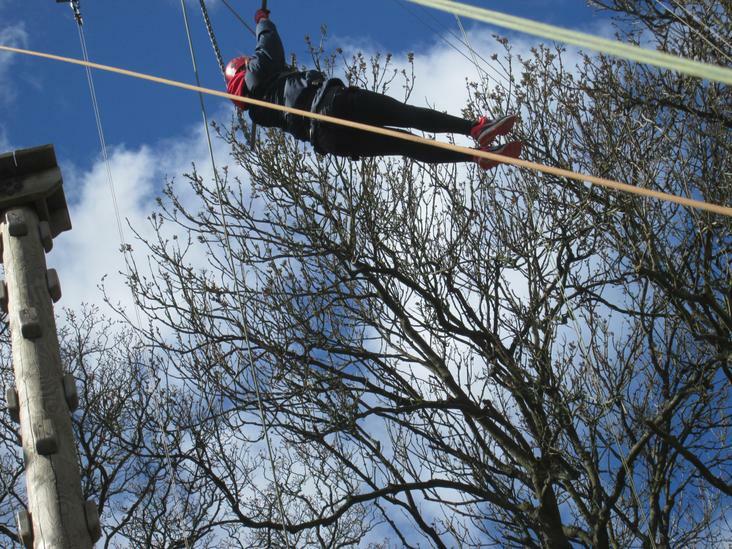 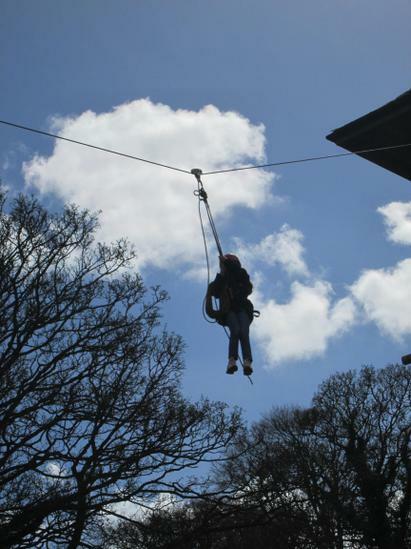 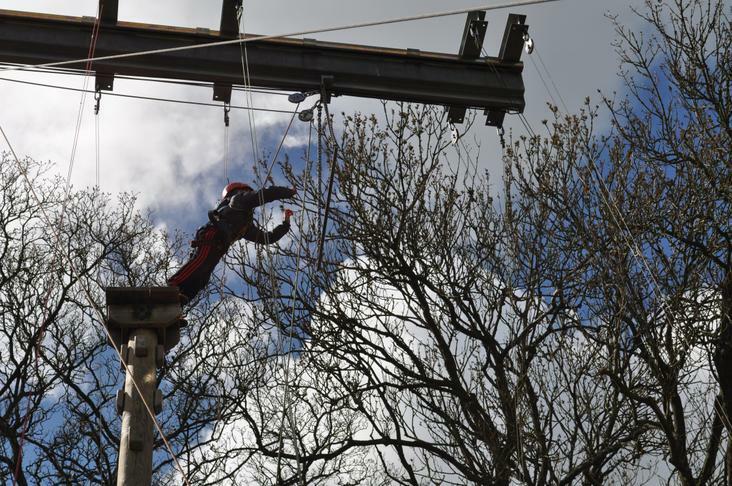 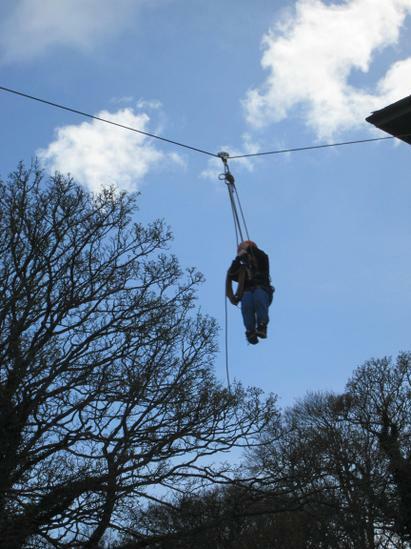 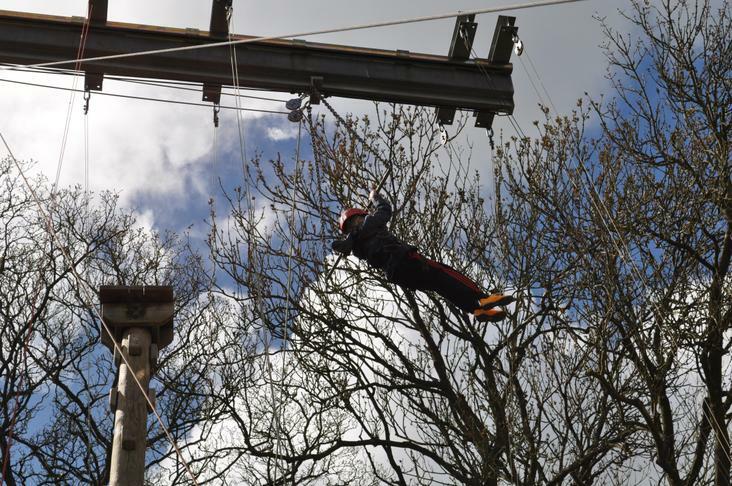 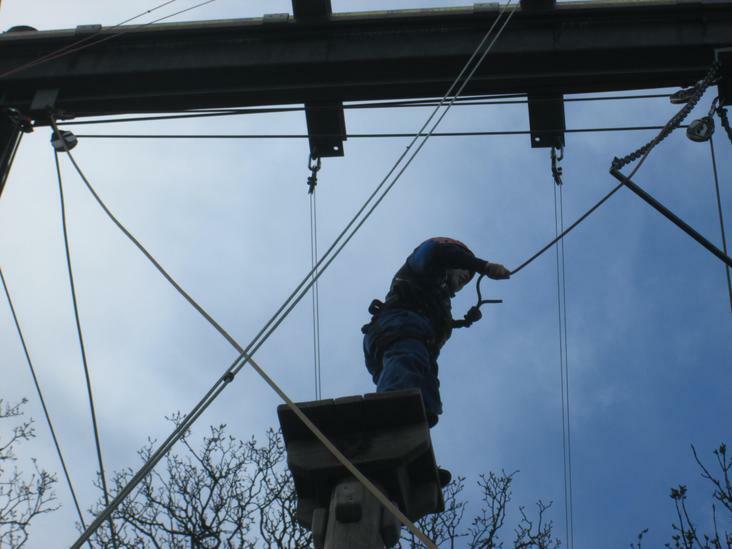 After counting to three, they make a 'Leap of Faith' by jumping and reaching out to catch the mid-air suspended trapeze. 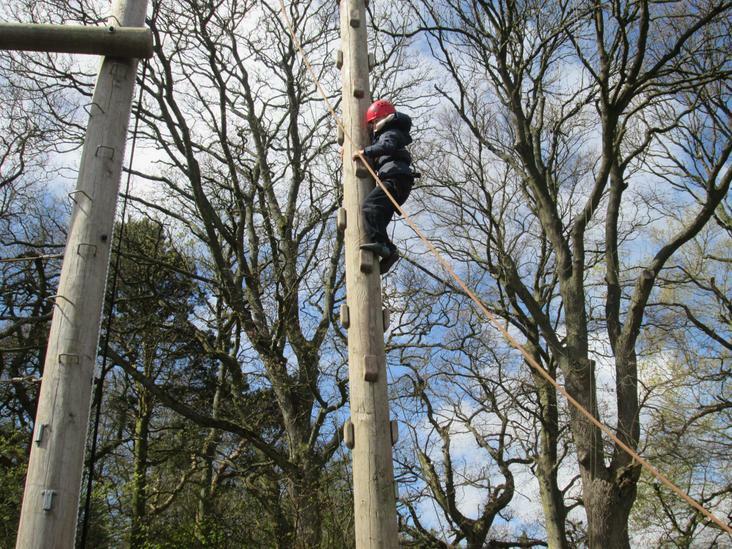 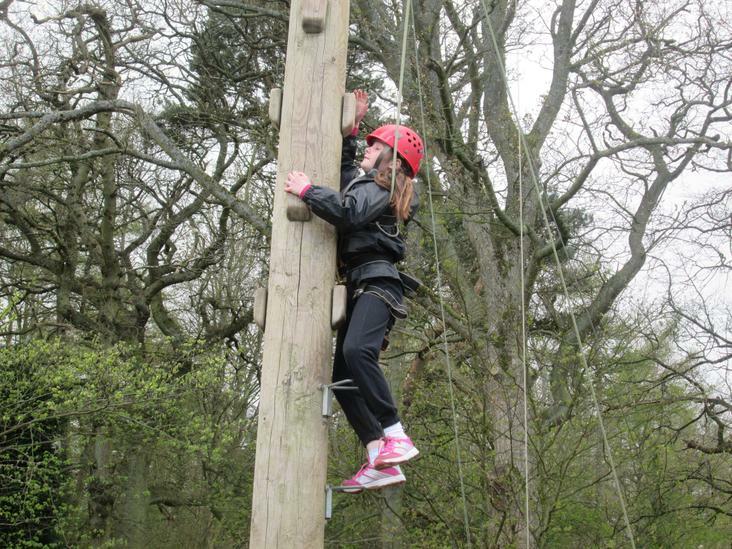 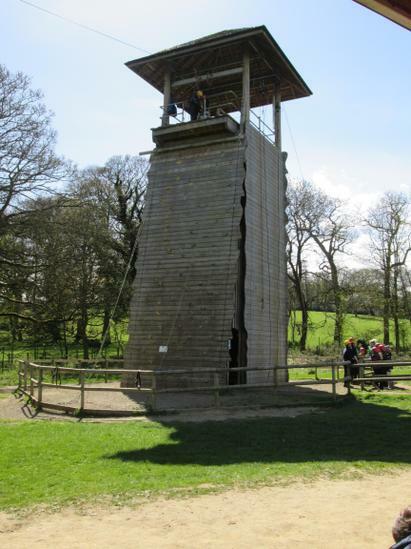 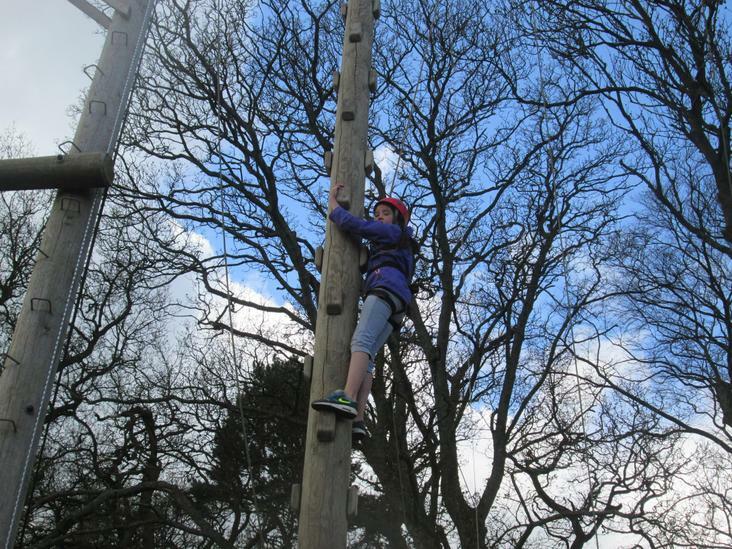 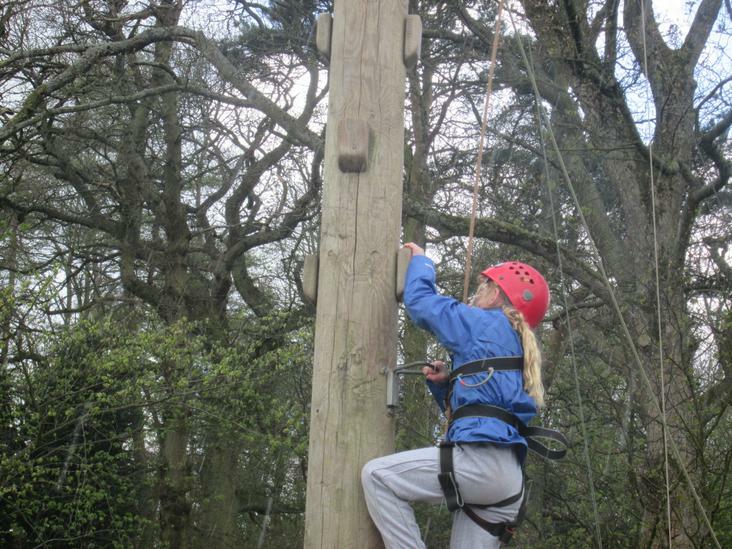 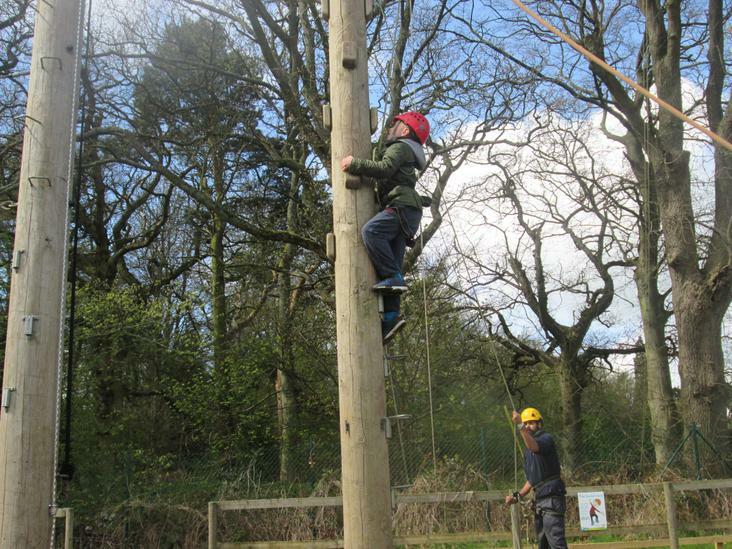 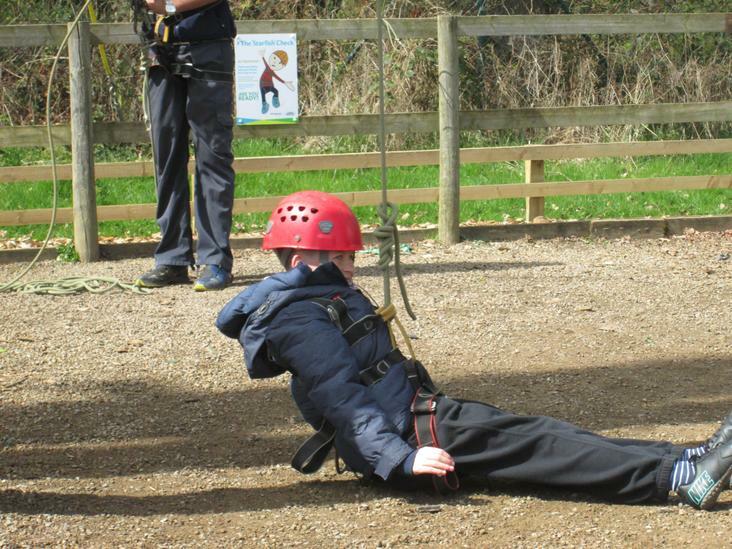 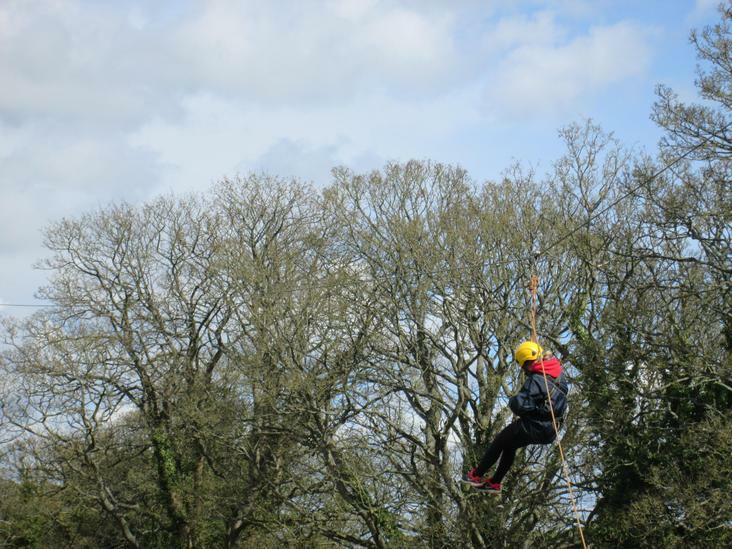 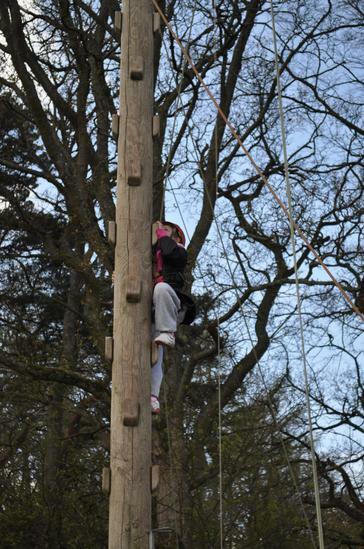 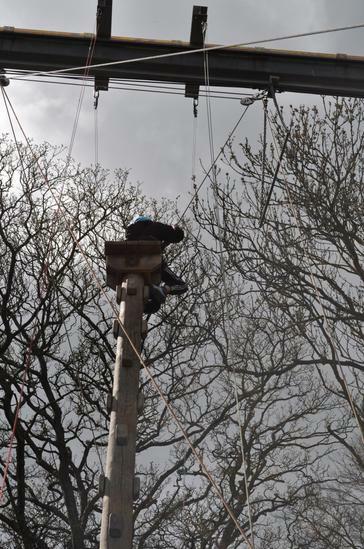 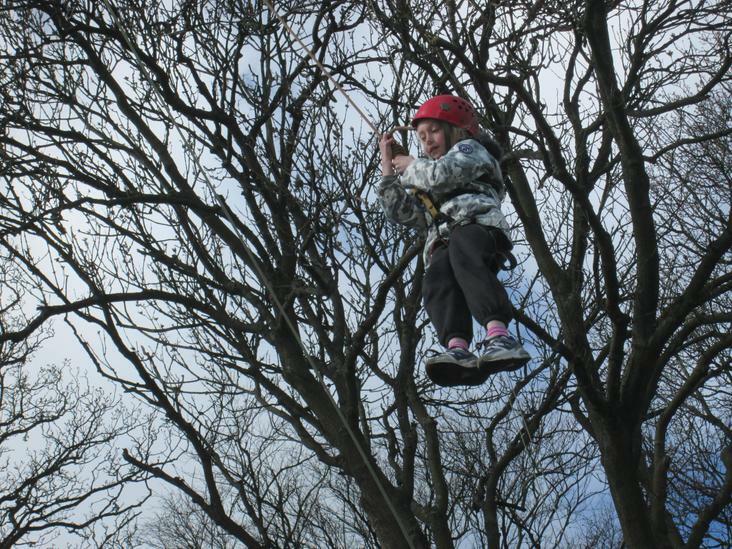 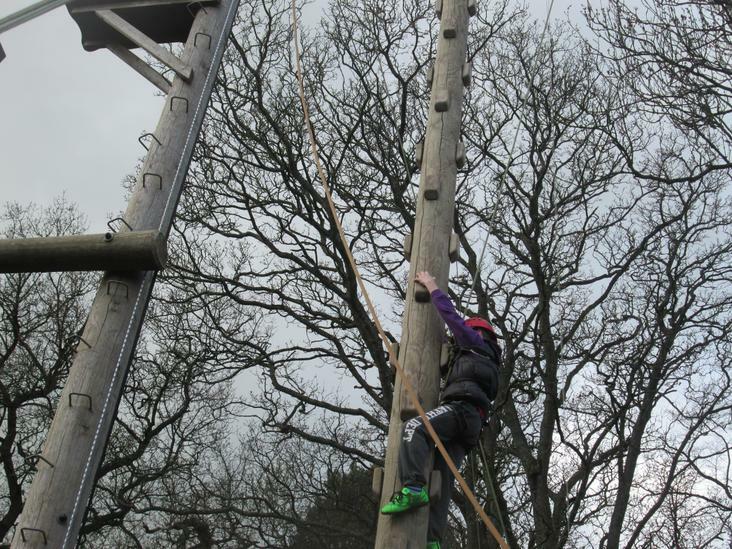 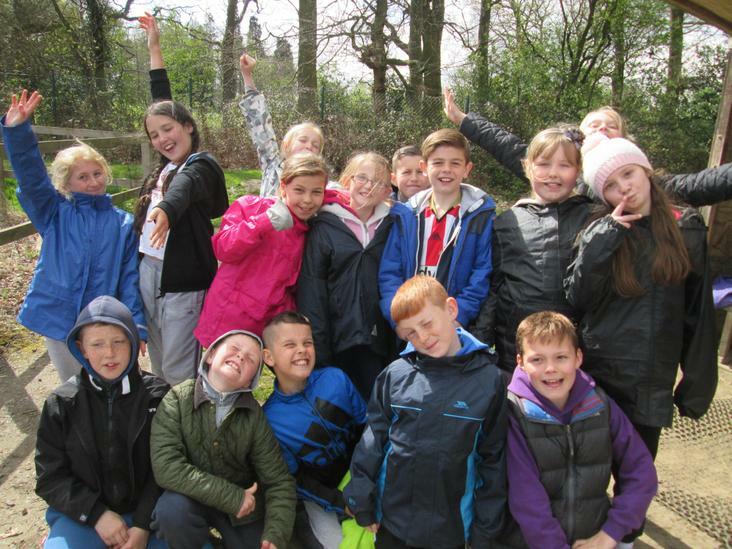 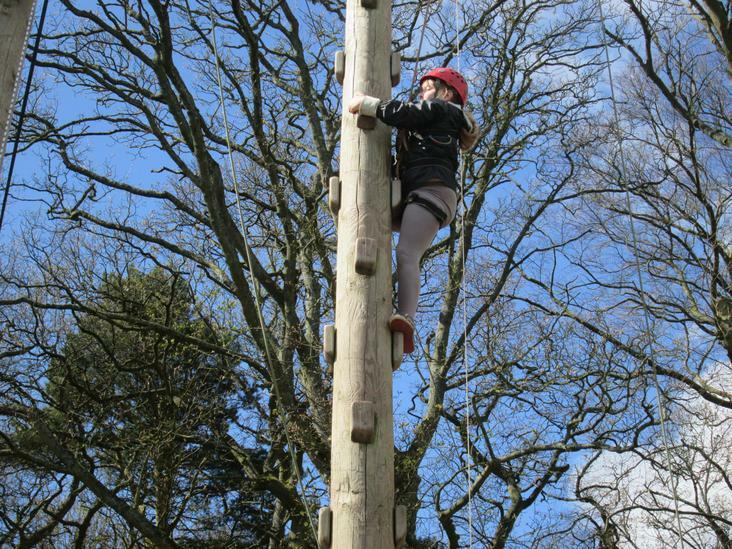 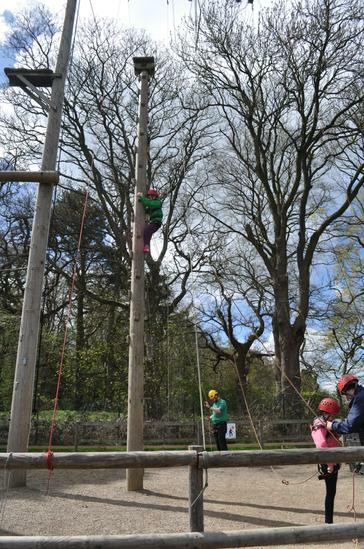 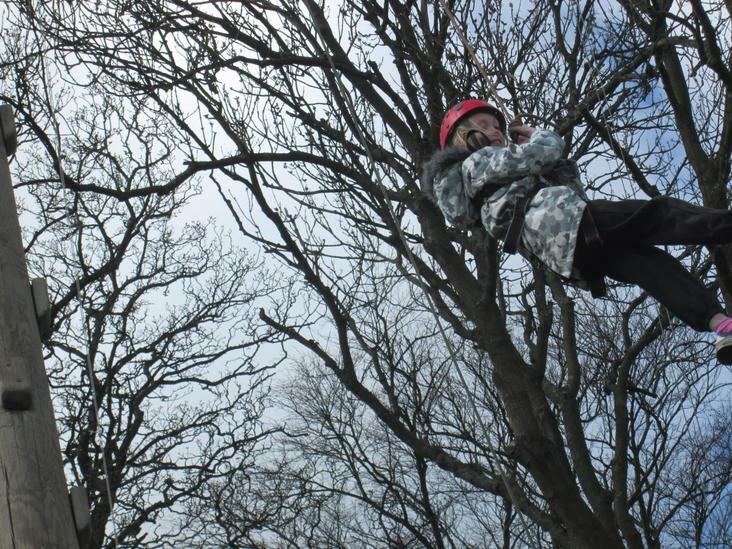 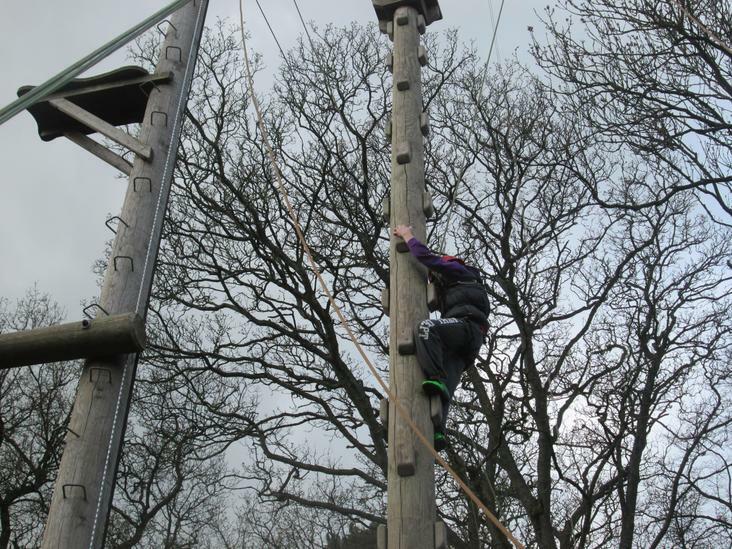 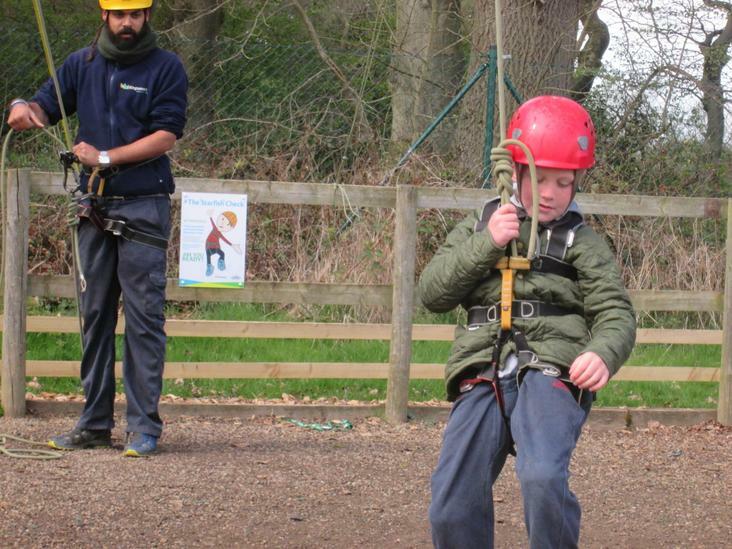 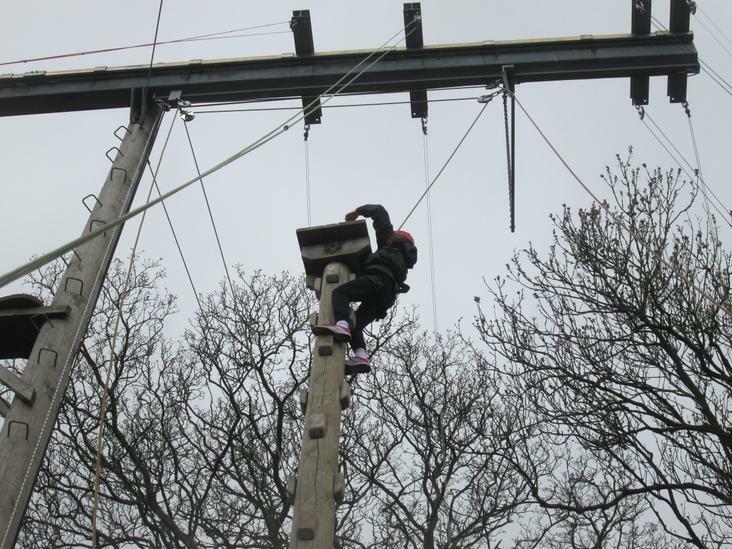 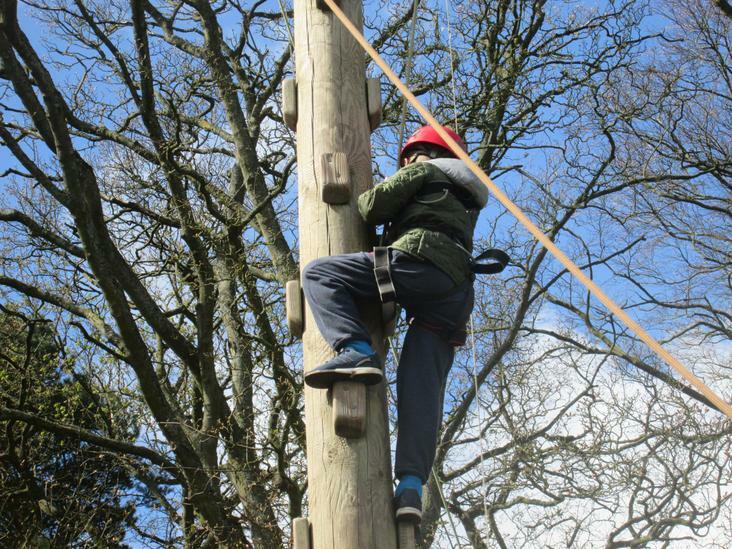 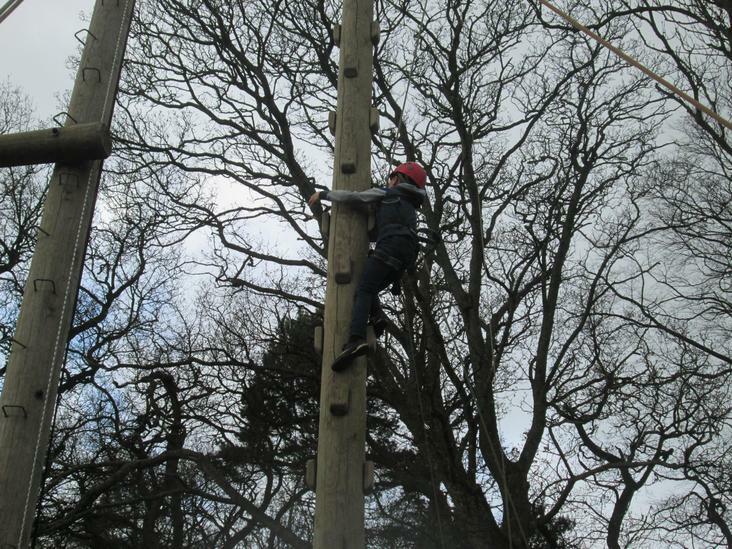 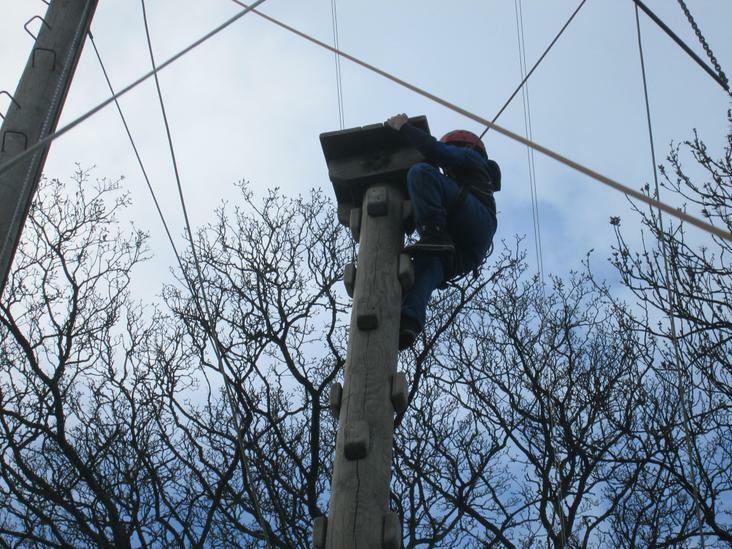 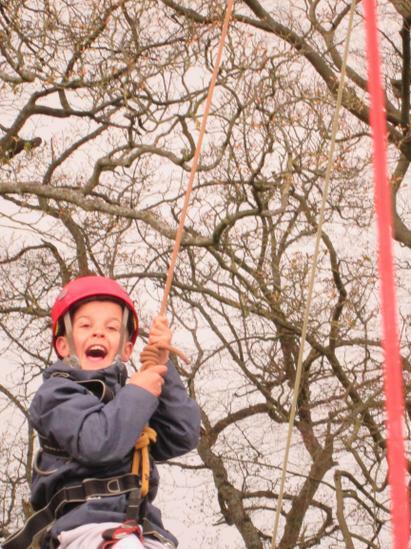 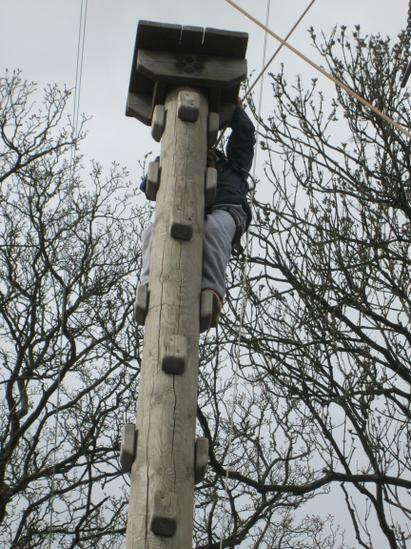 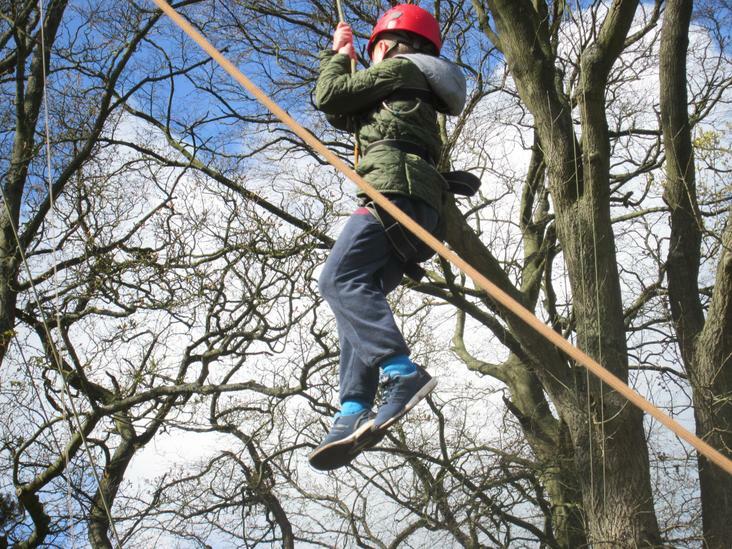 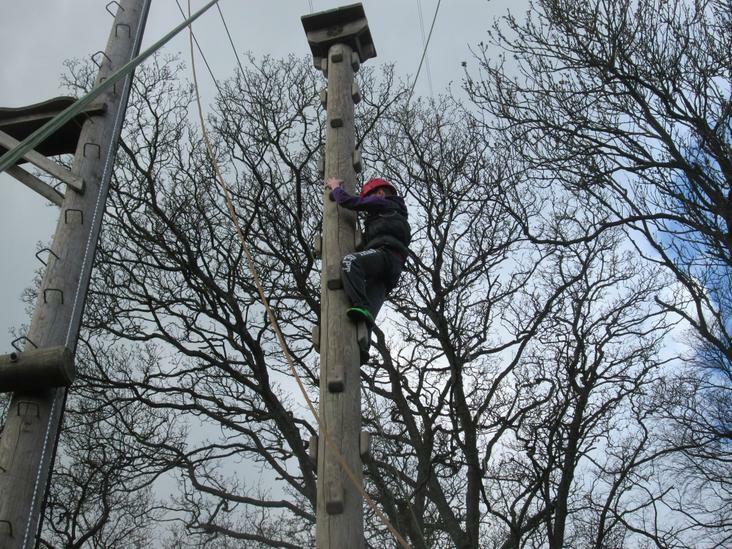 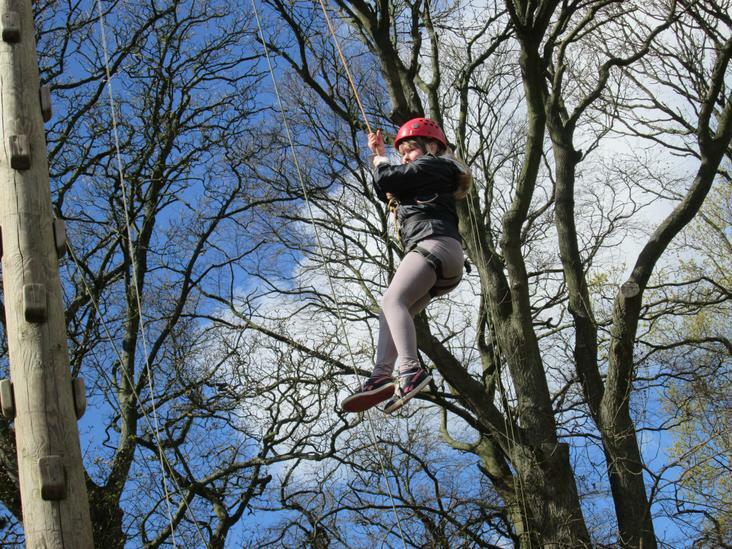 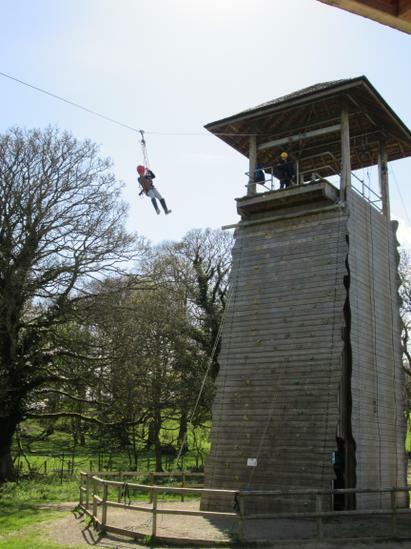 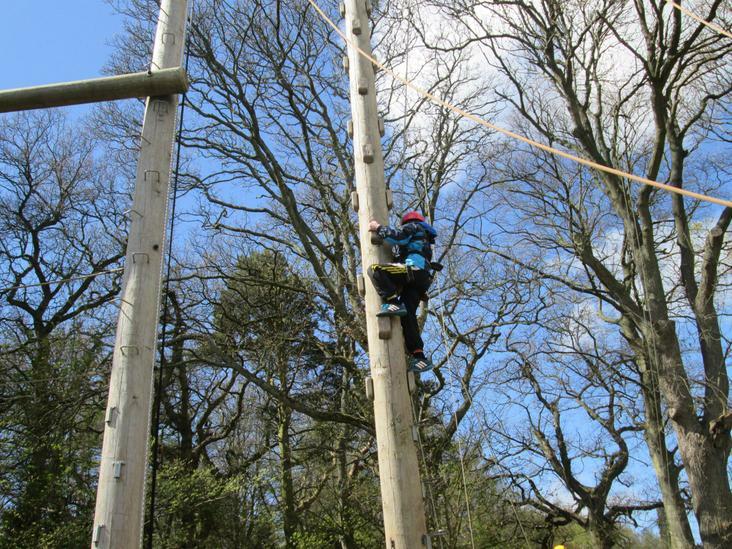 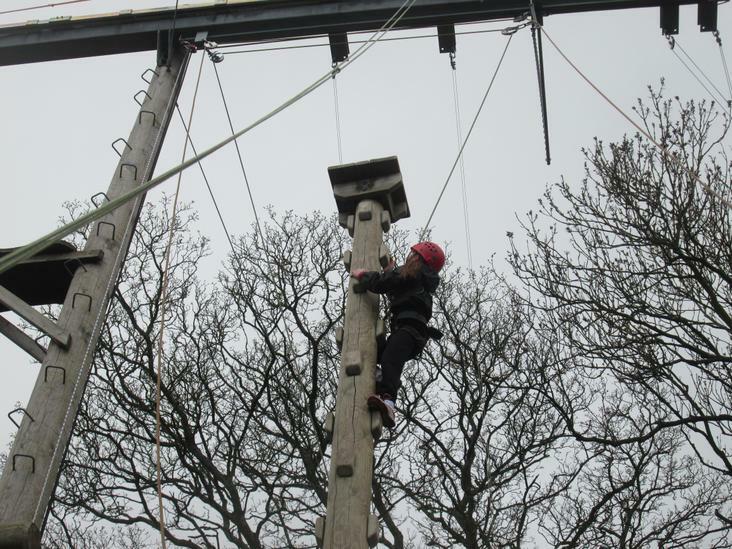 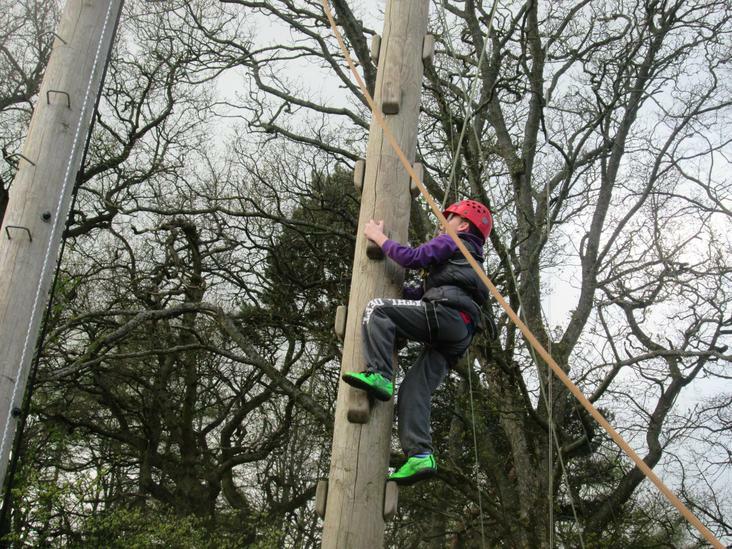 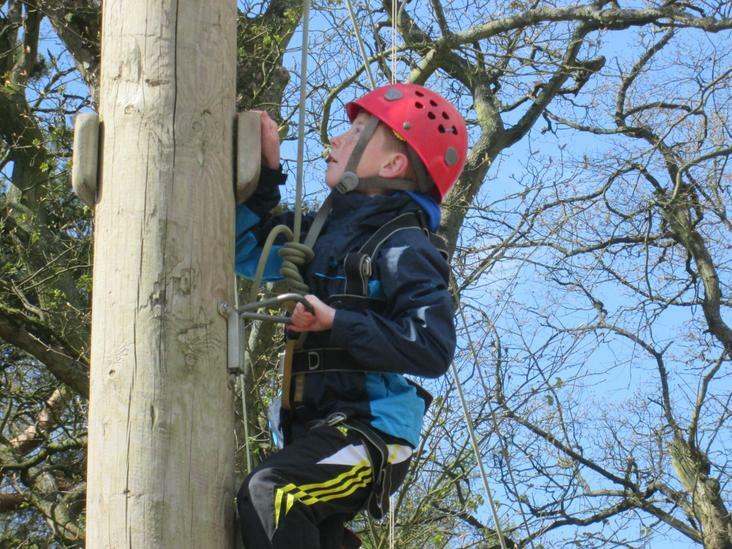 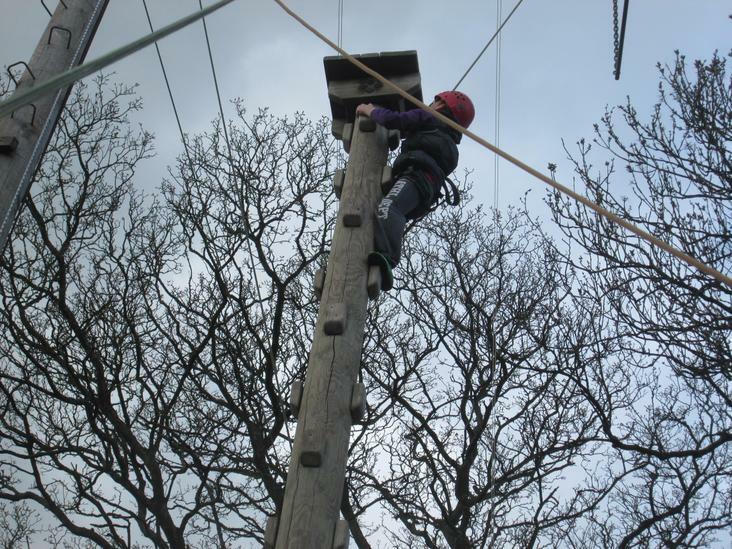 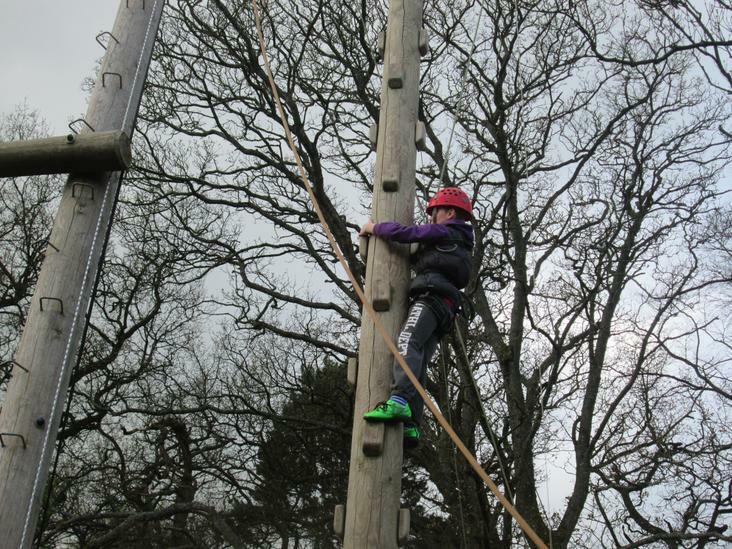 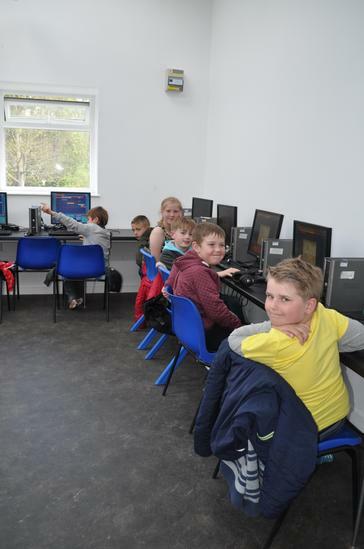 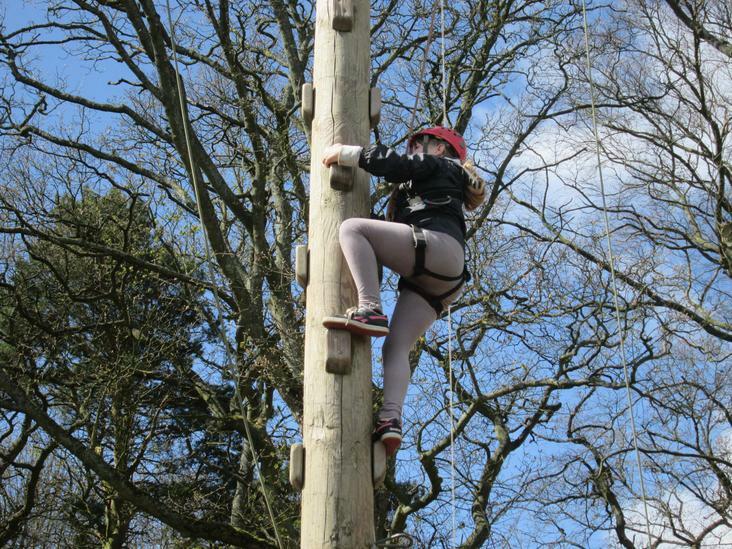 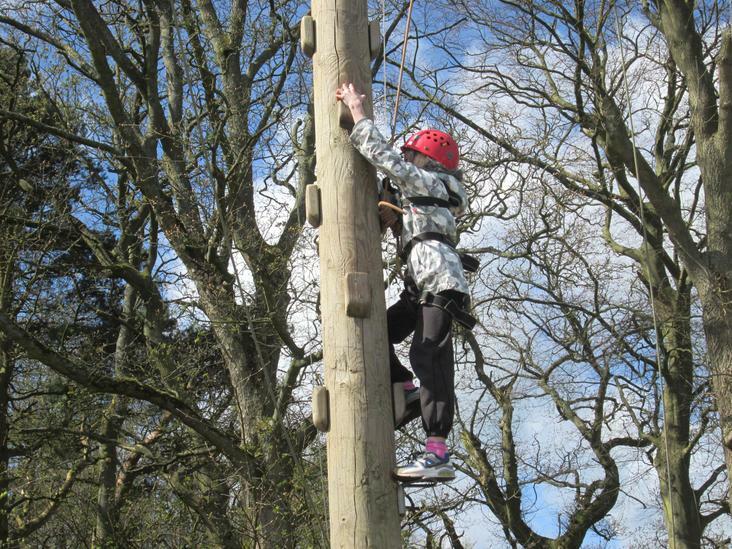 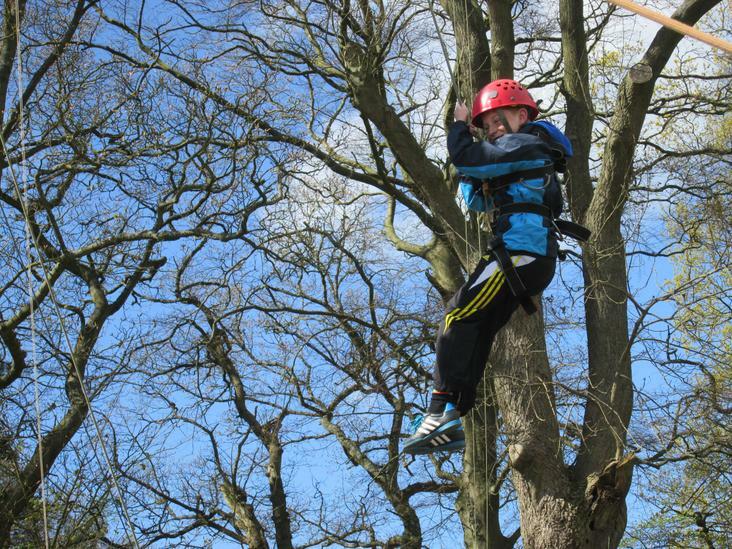 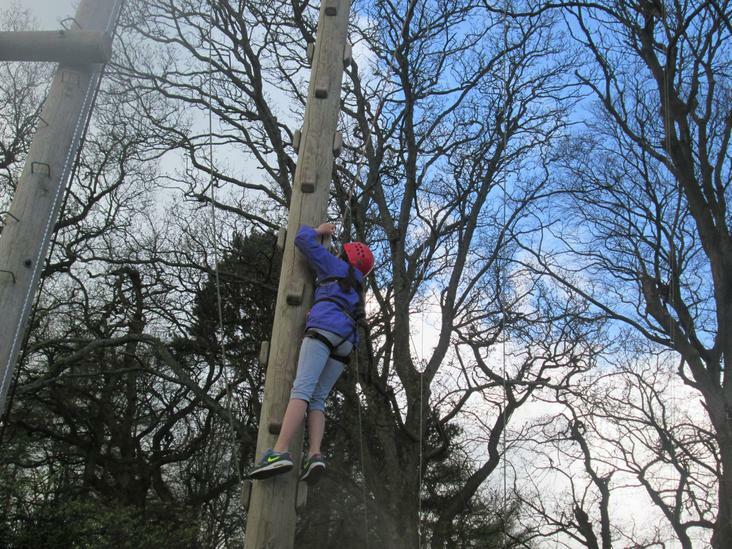 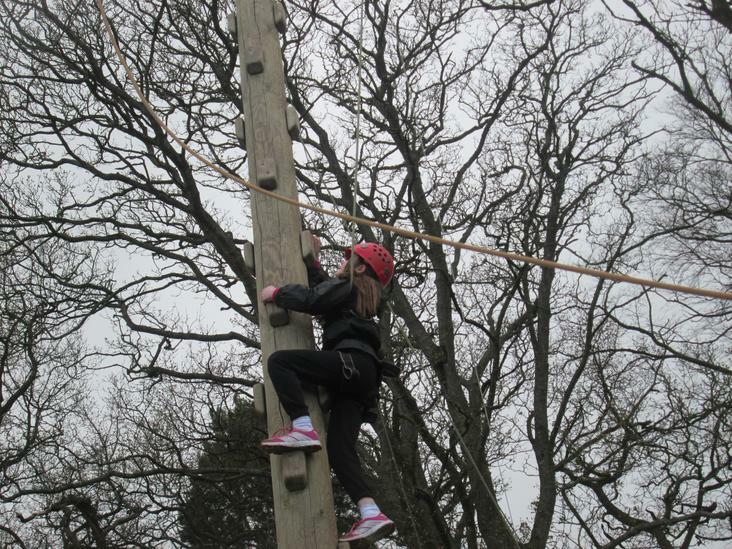 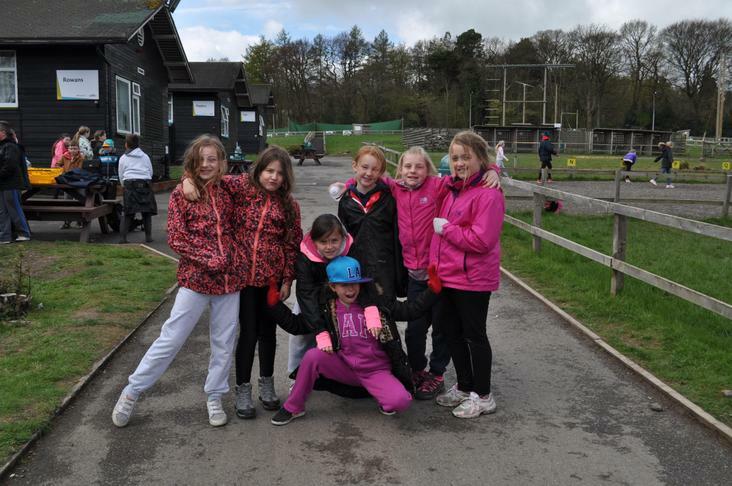 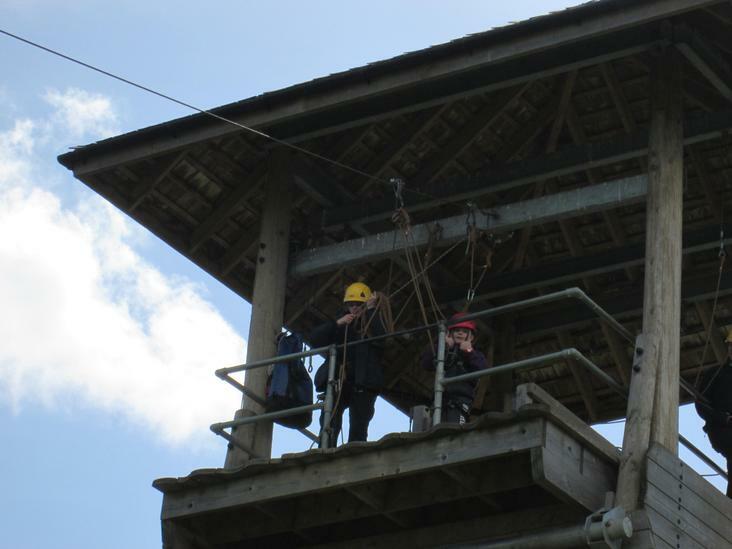 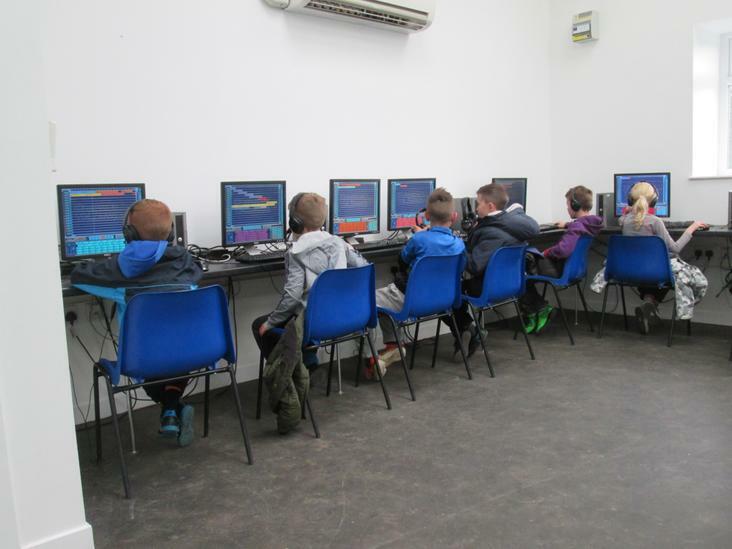 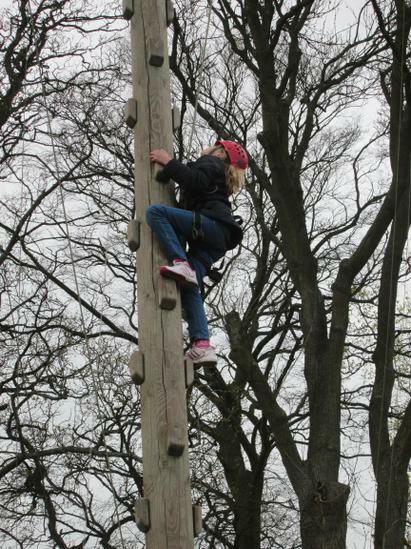 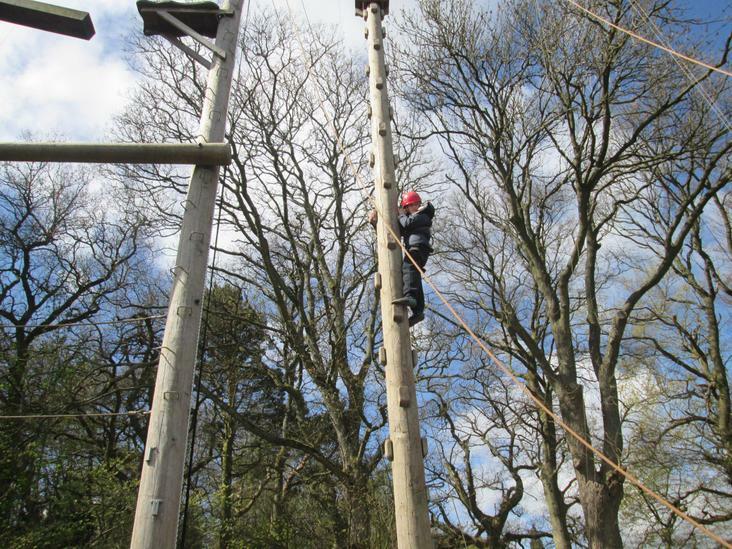 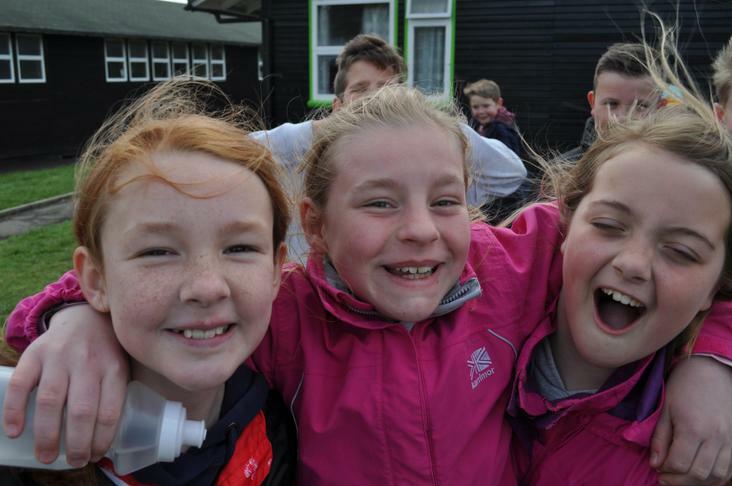 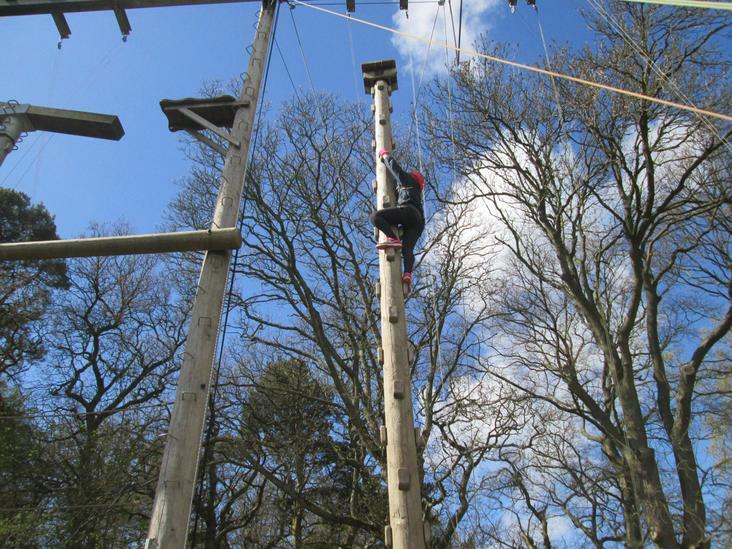 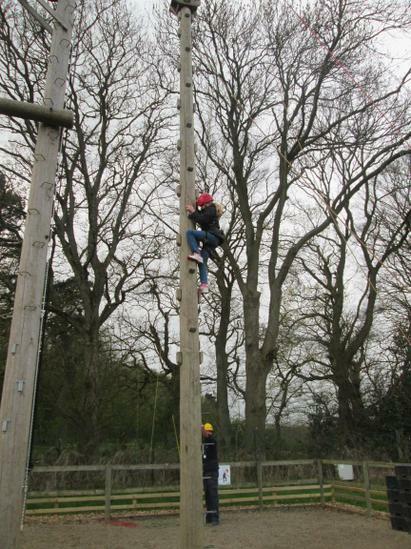 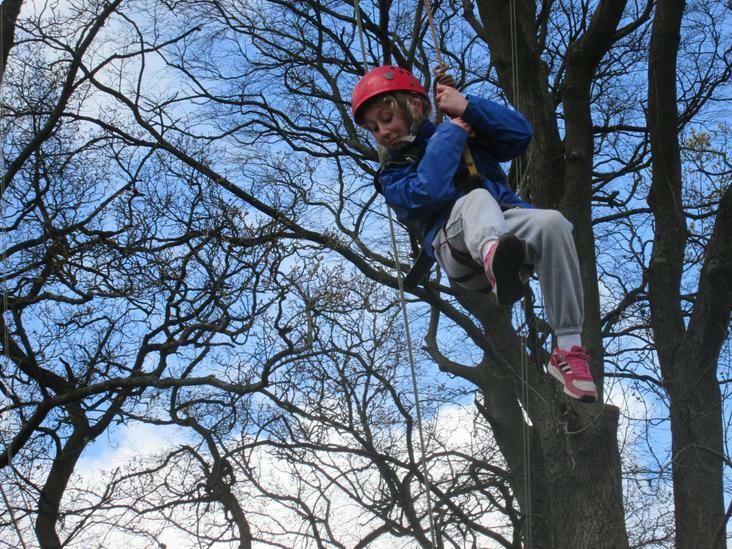 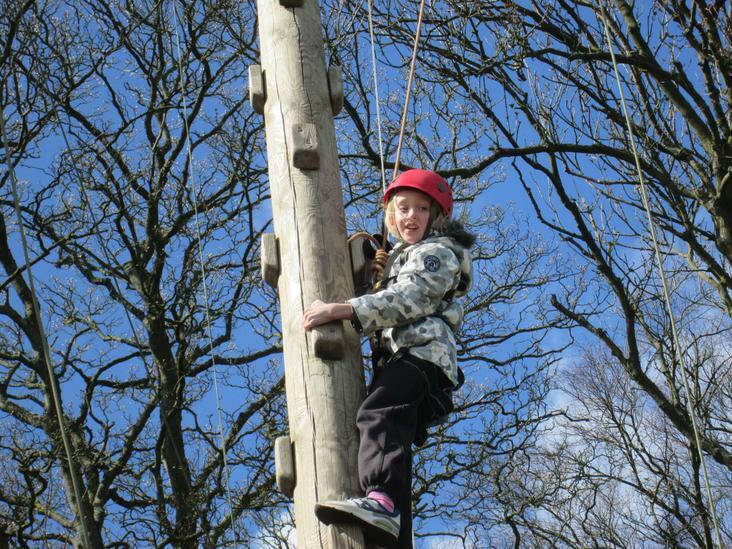 In taking part in this challenge children were encouraged and supported by the Instructors to push their own boundaries, whether that be by climbing a few steps, half or three quarters of the way or reaching the top.